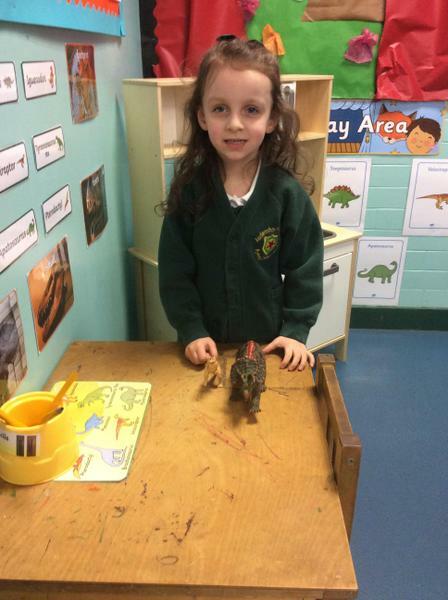 Our new topic for Spring 1 is DINOSAURS. 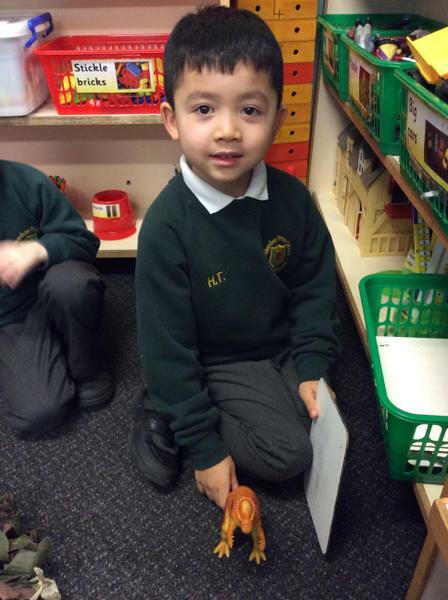 We came into class after the holidays to find two eggs in our classroom. 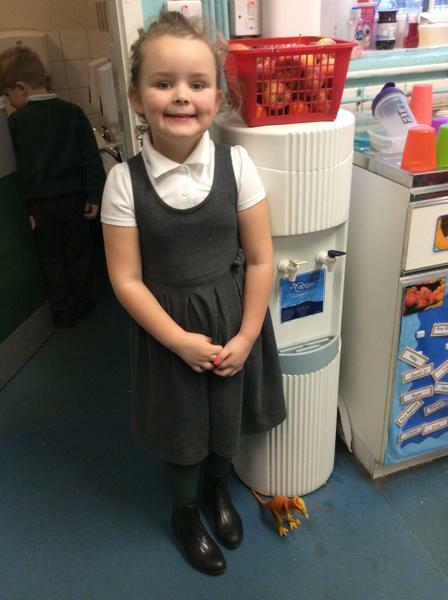 We did not know how they got there or what they were. 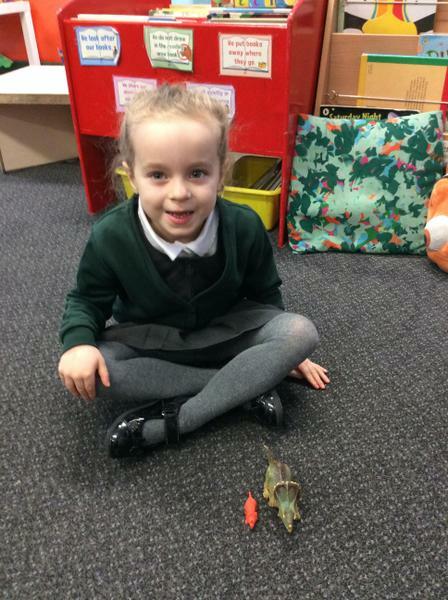 We had a lovely discussion to find out what we thought they were. 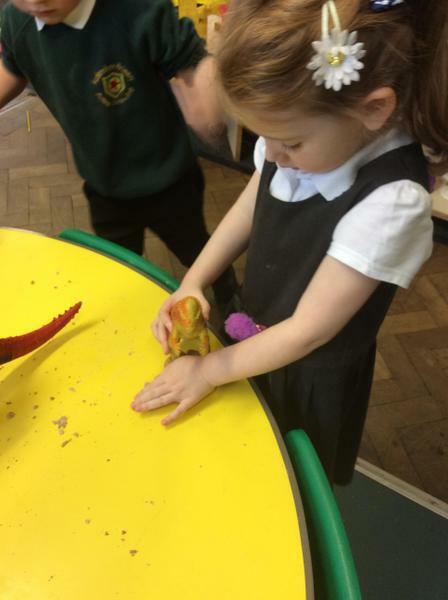 On the Tuesday the eggs had hatched! 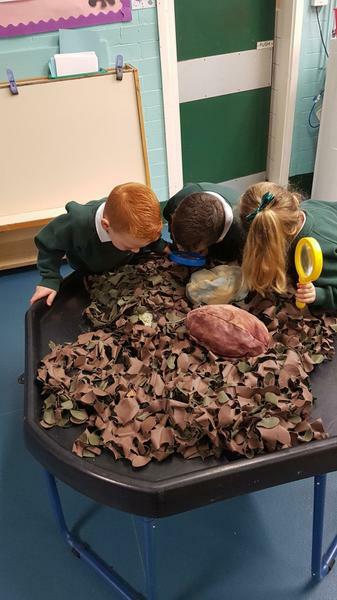 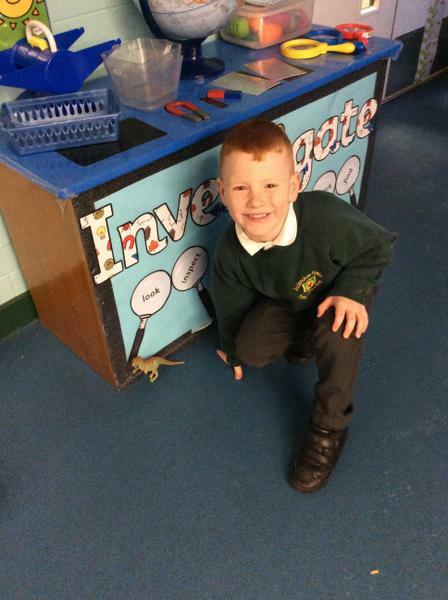 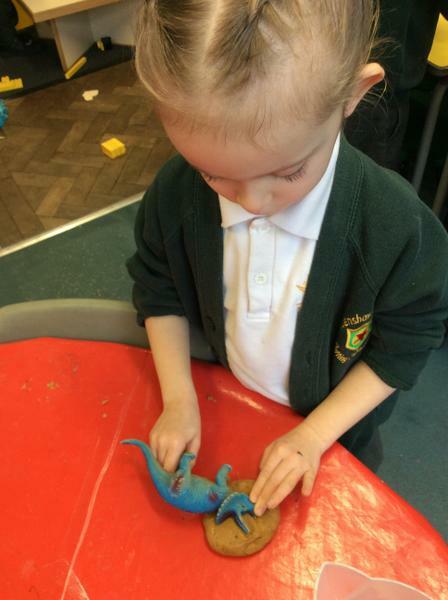 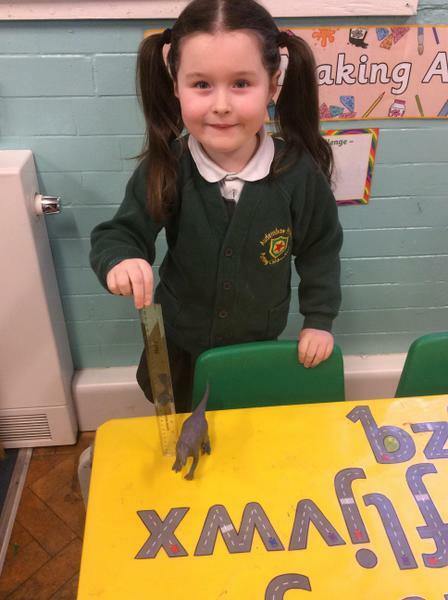 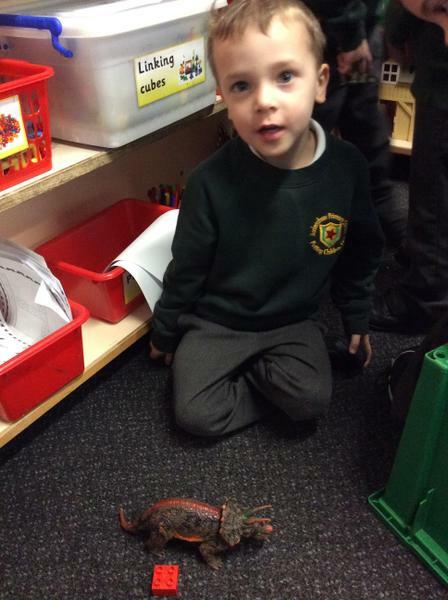 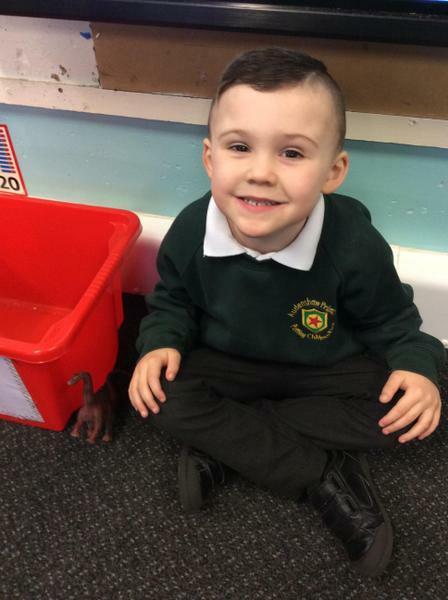 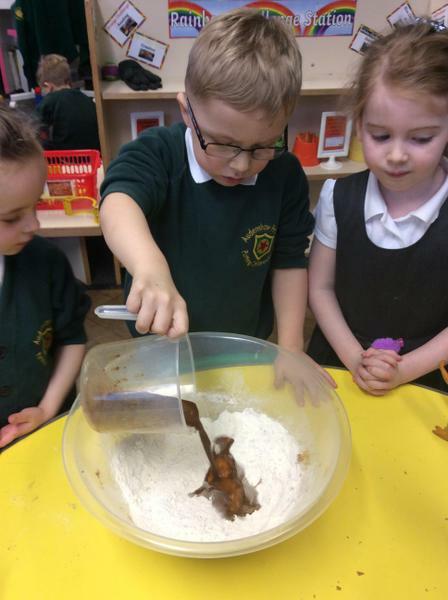 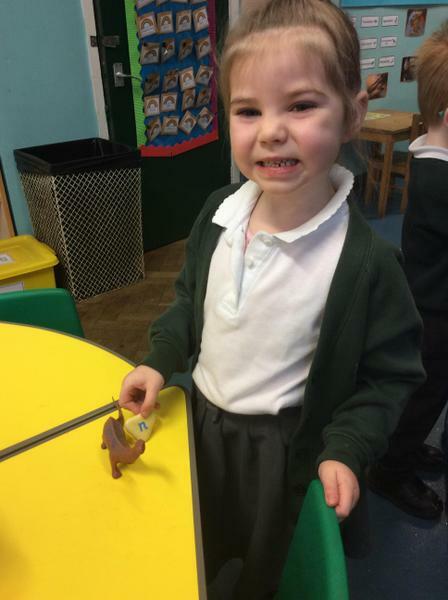 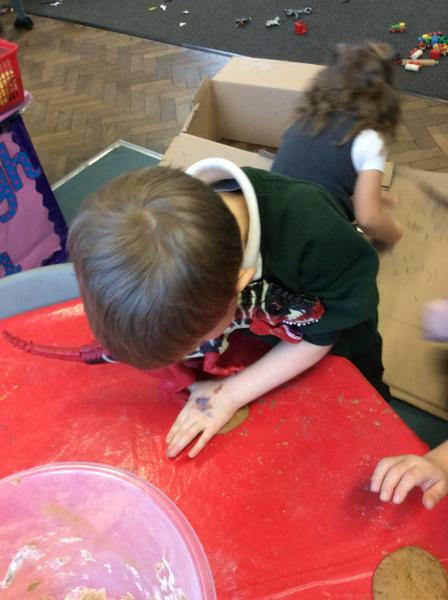 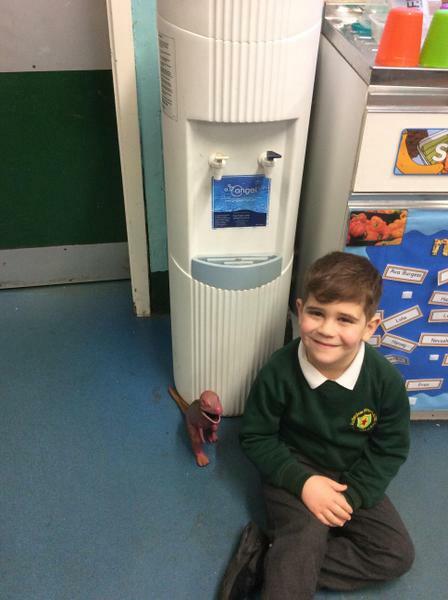 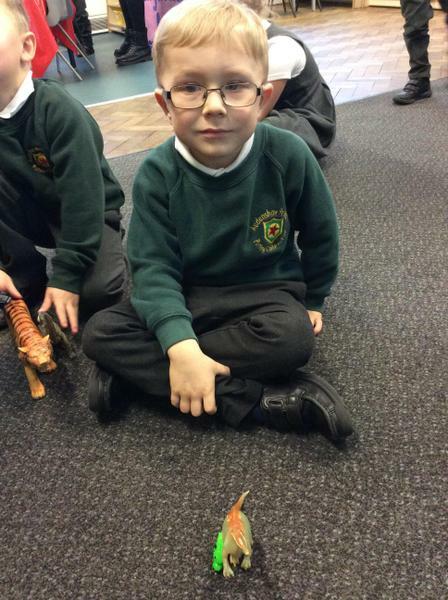 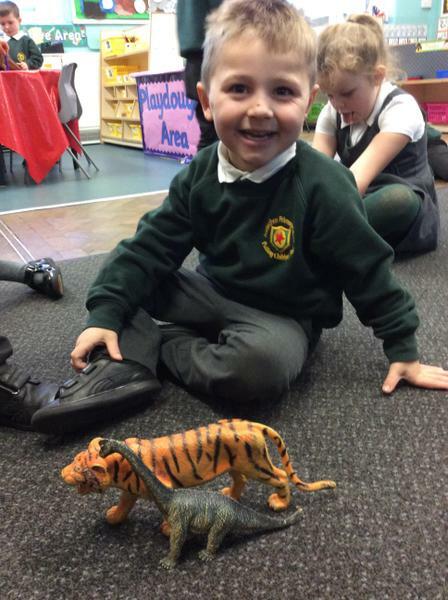 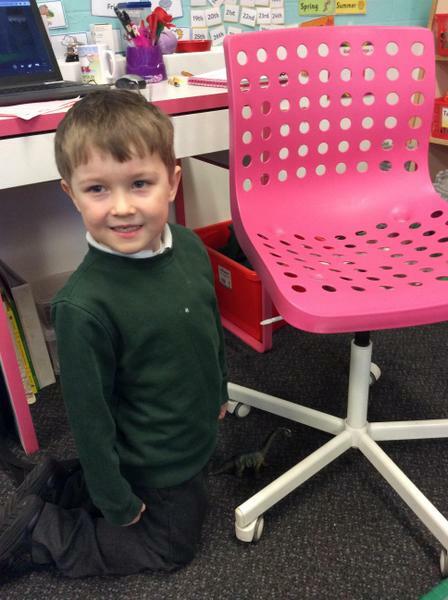 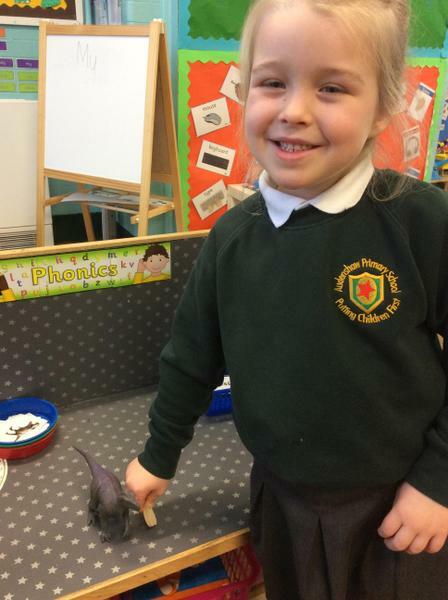 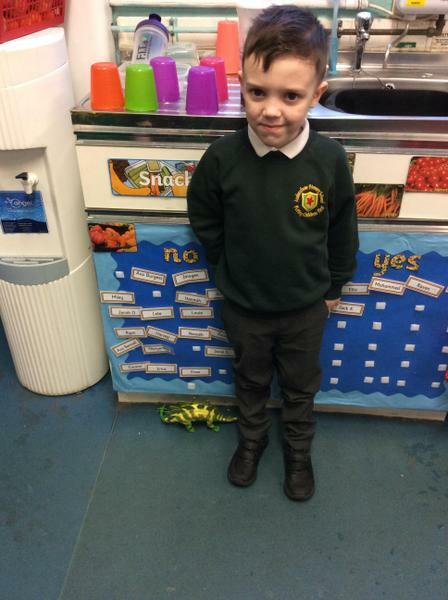 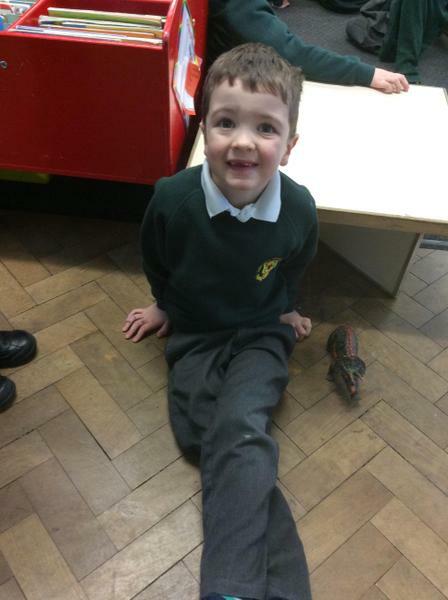 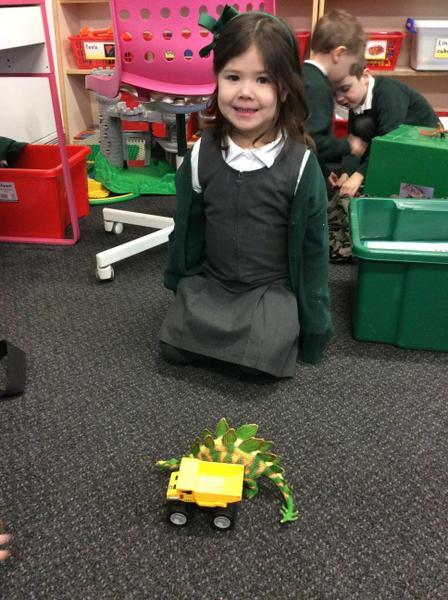 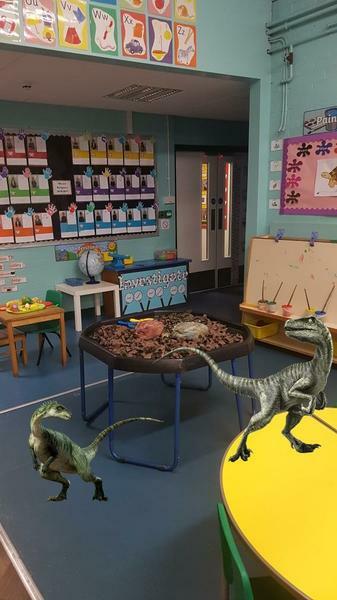 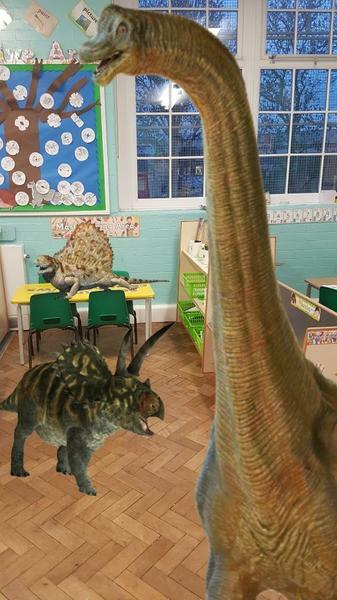 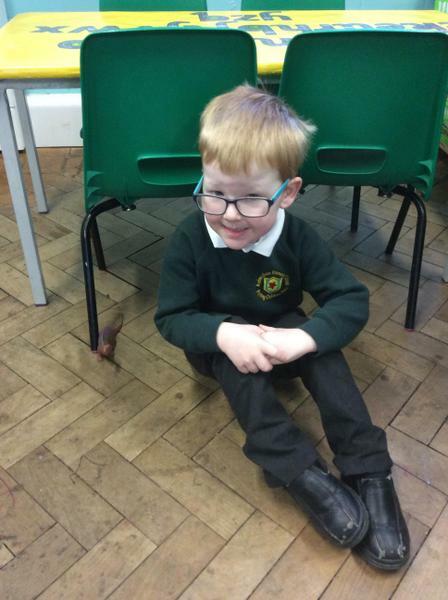 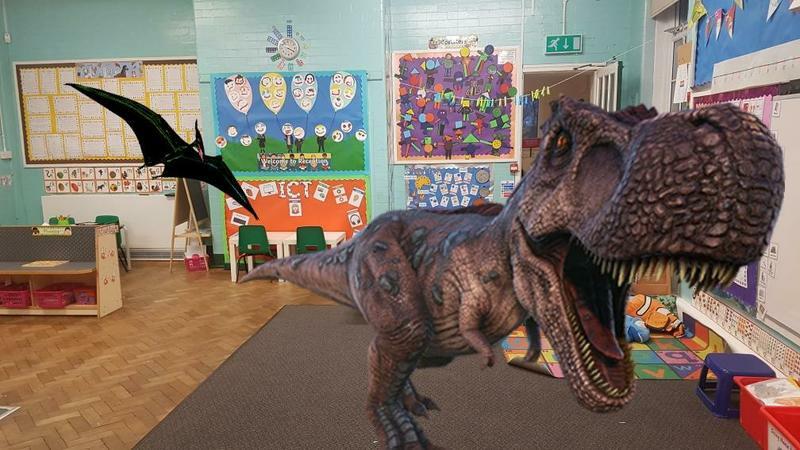 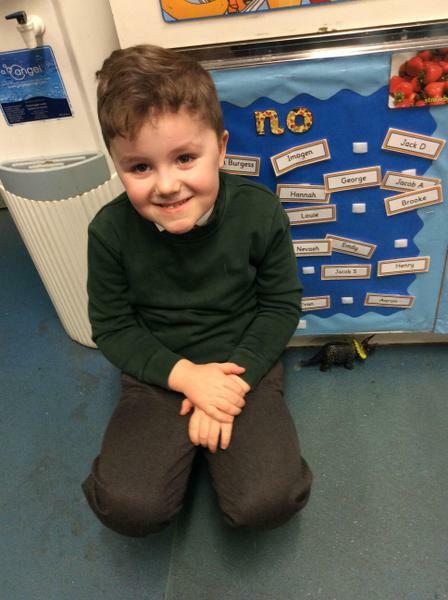 We found out that dinosaurs had come into our classroom as well! 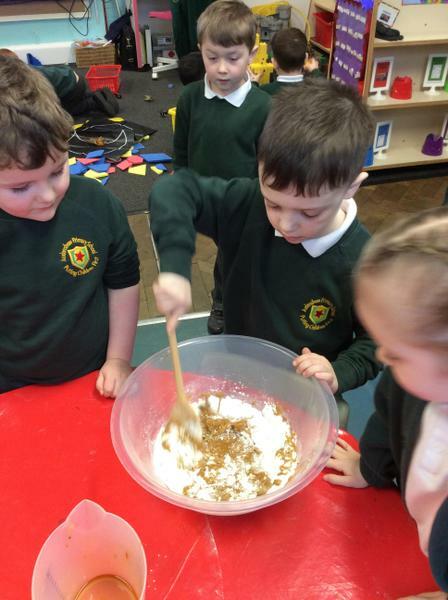 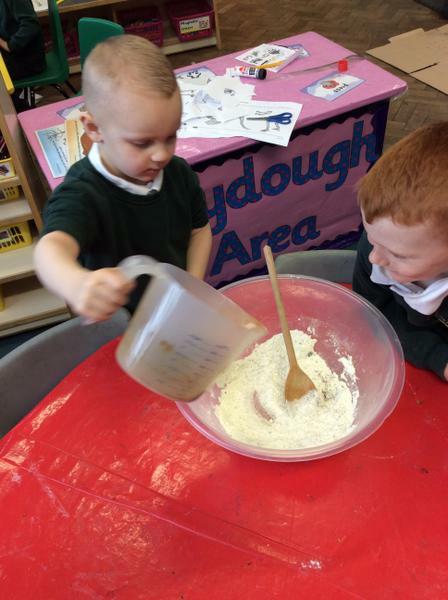 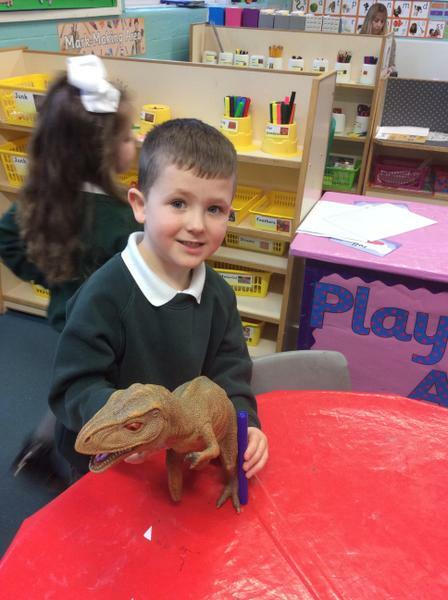 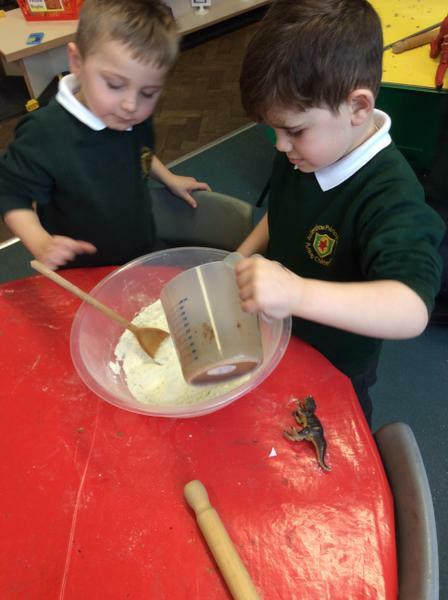 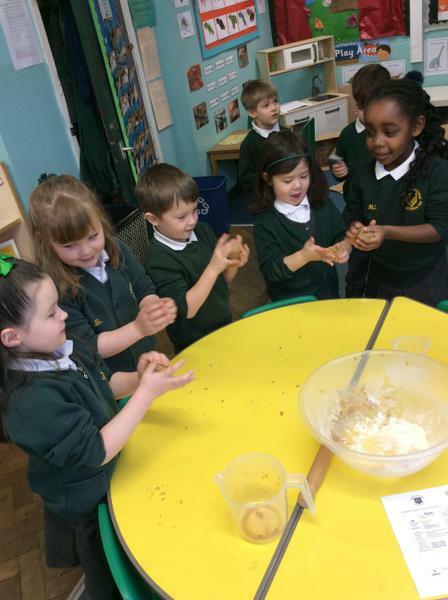 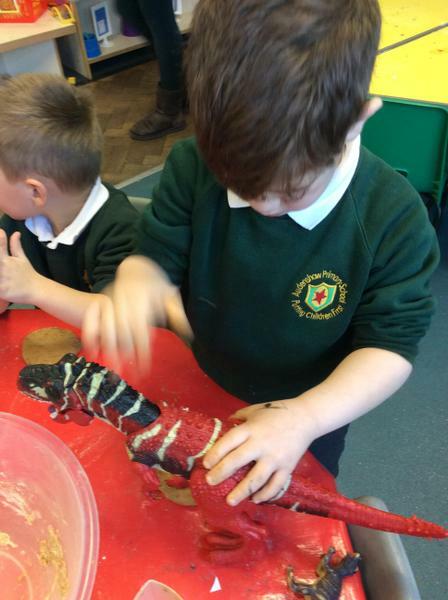 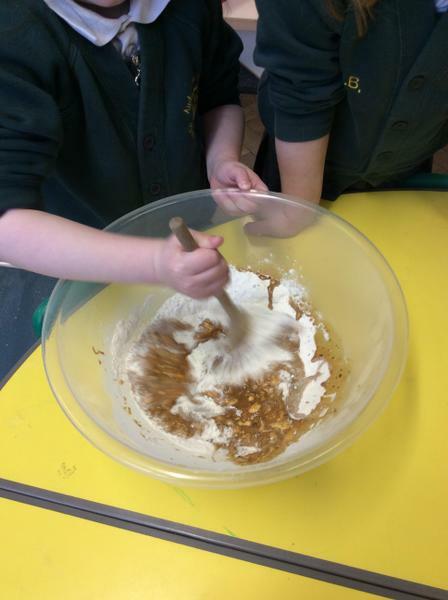 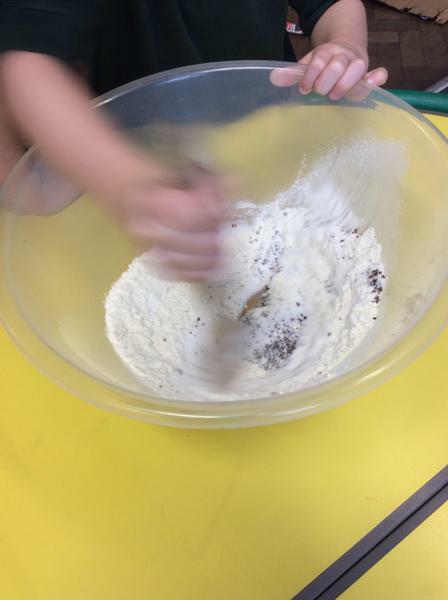 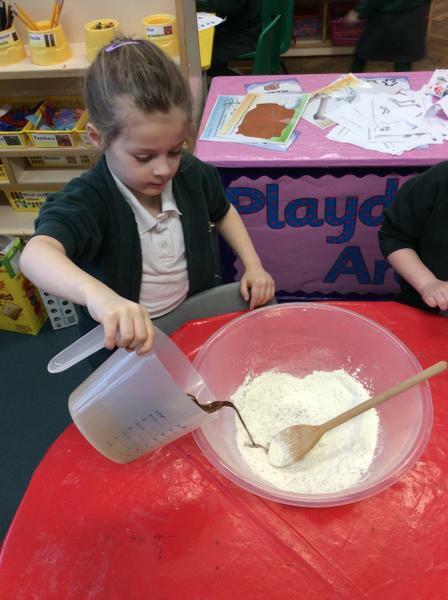 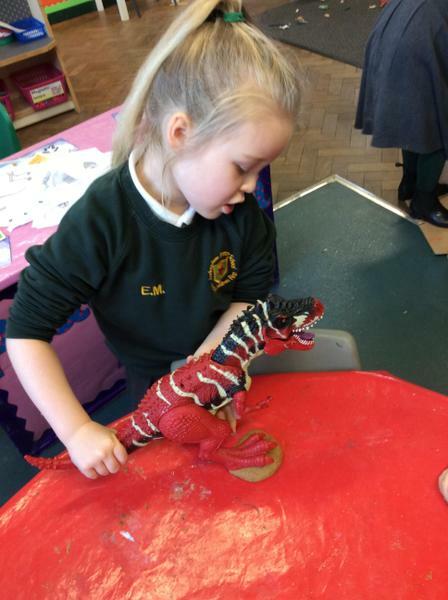 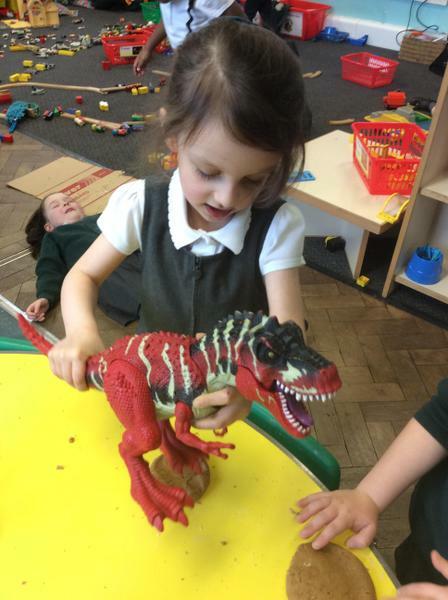 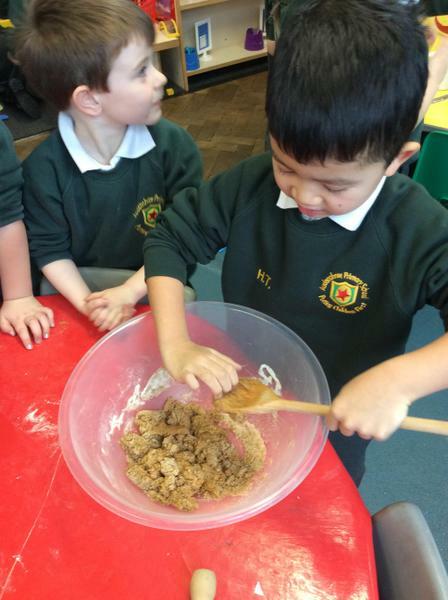 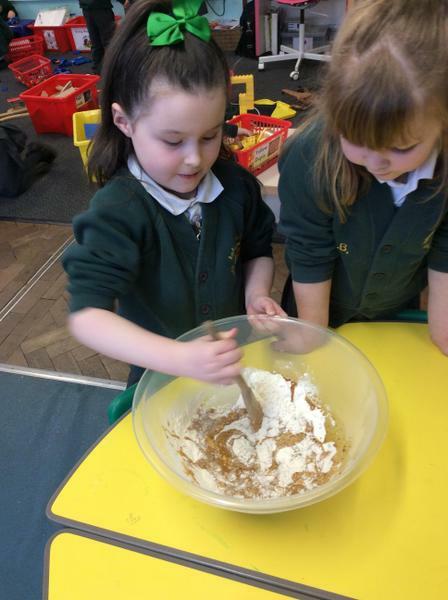 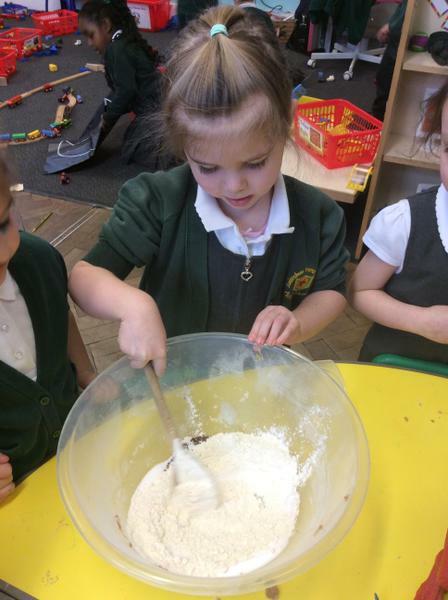 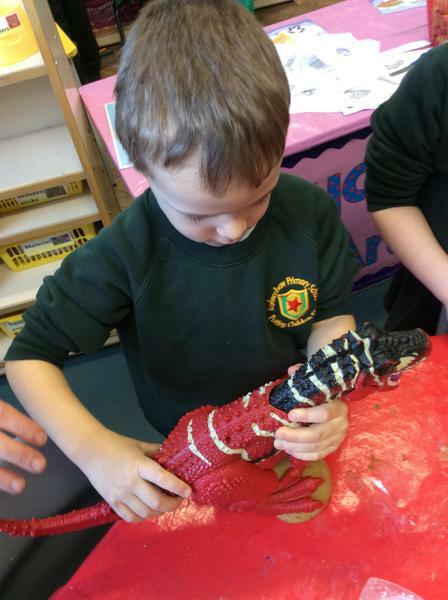 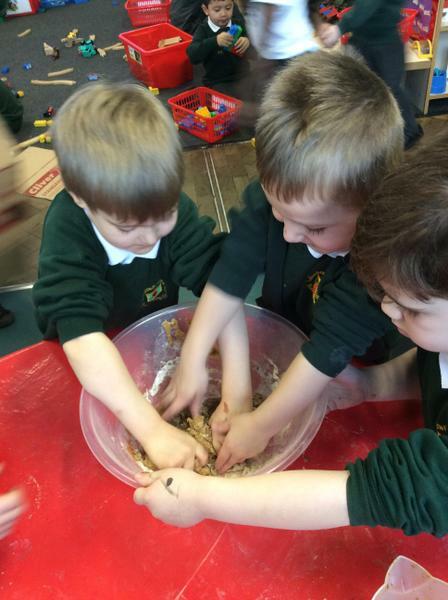 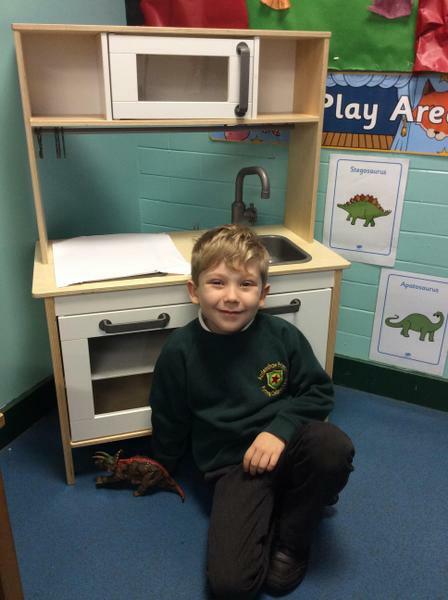 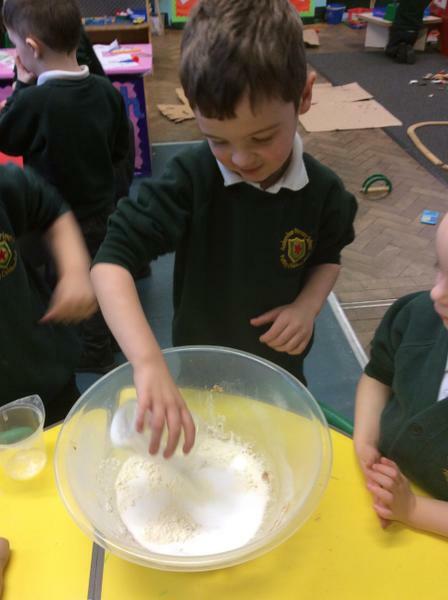 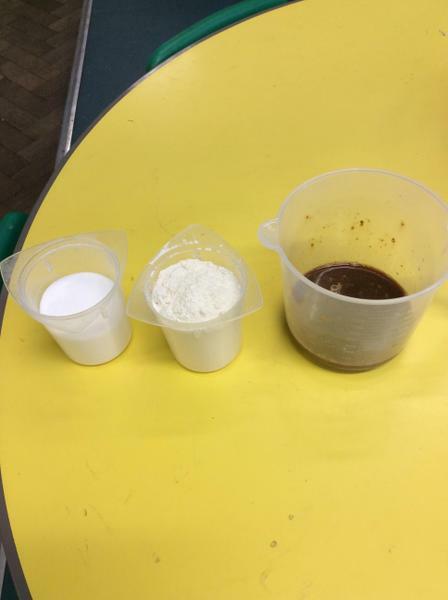 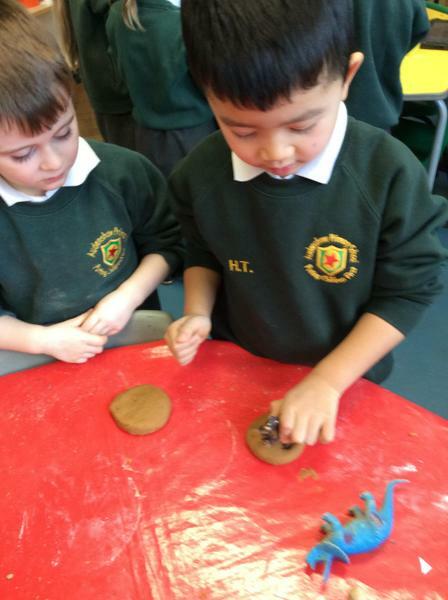 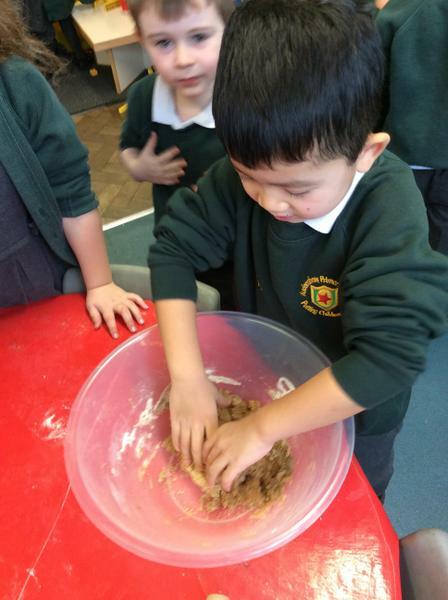 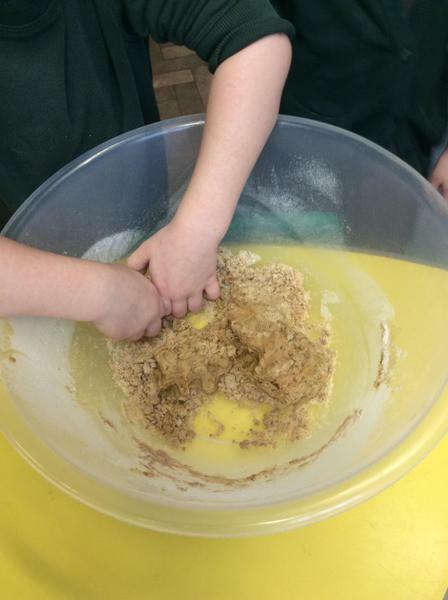 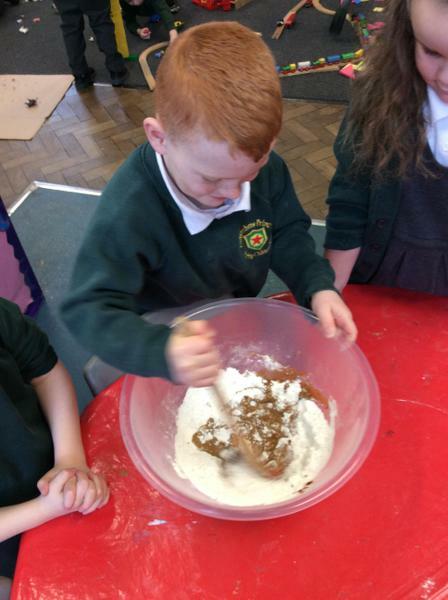 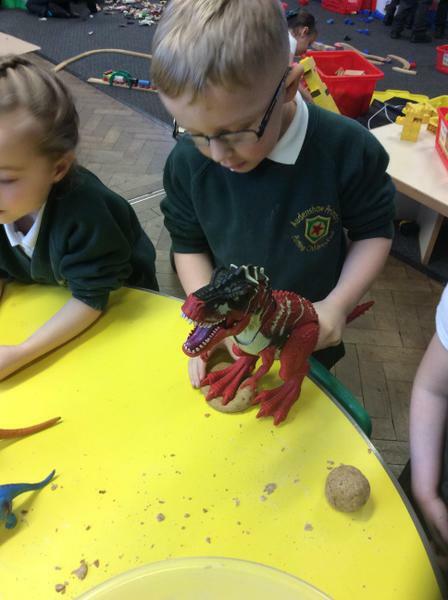 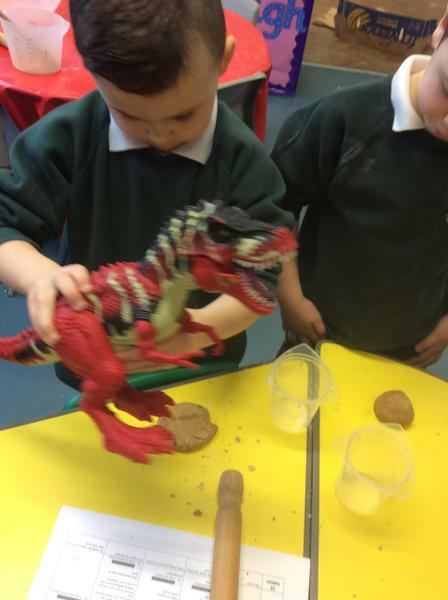 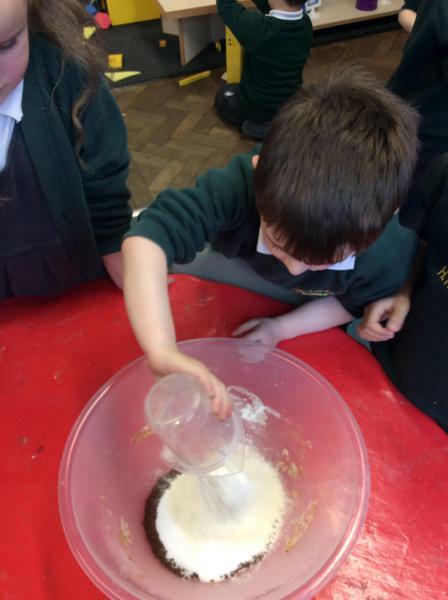 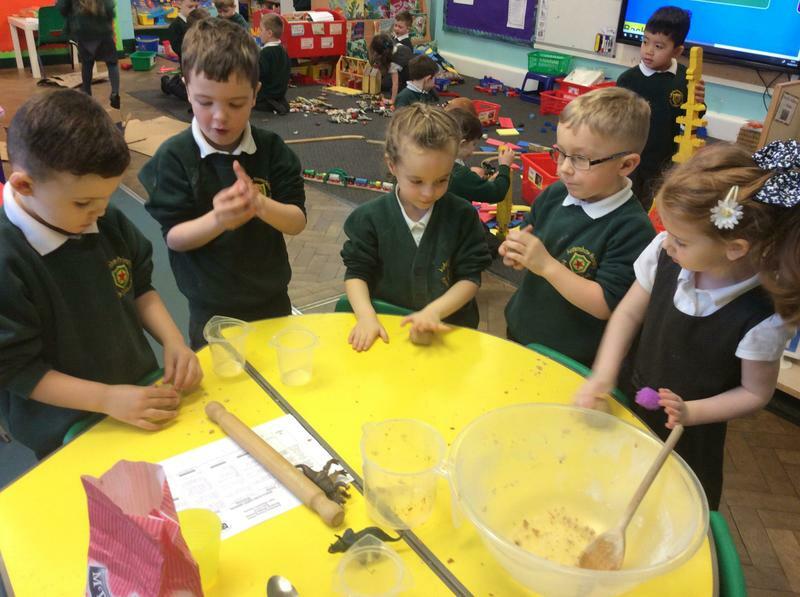 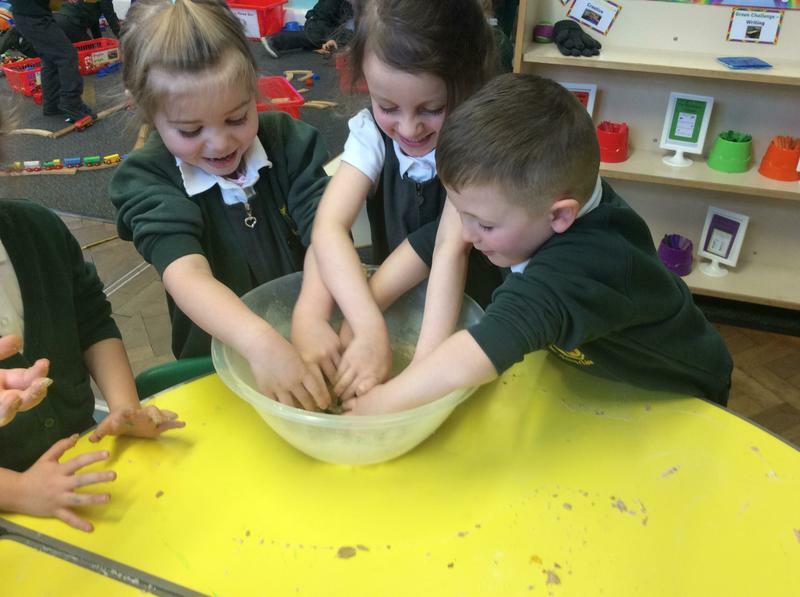 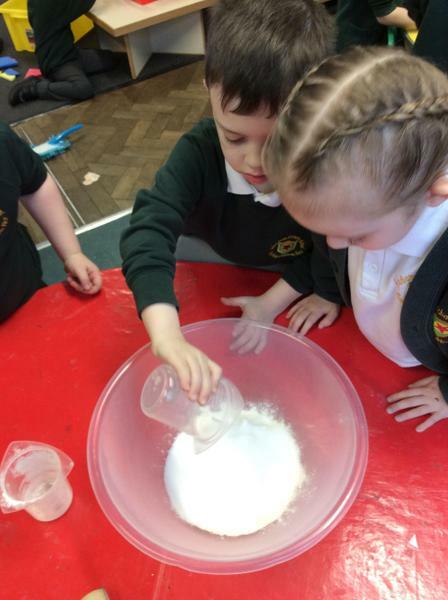 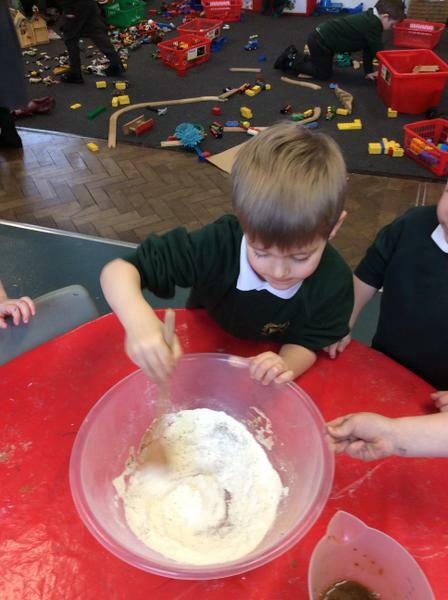 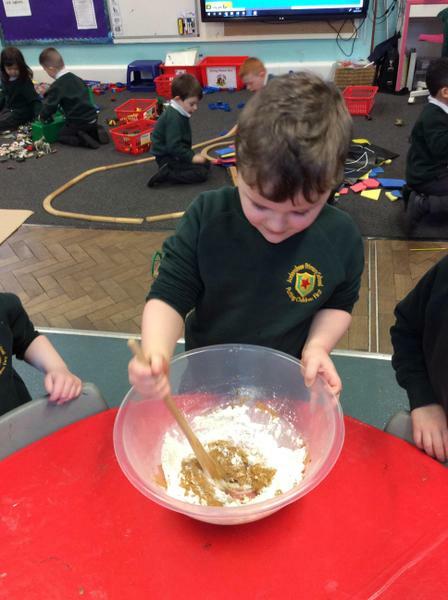 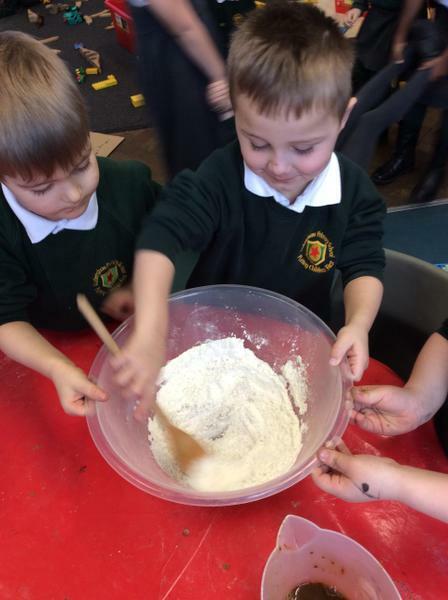 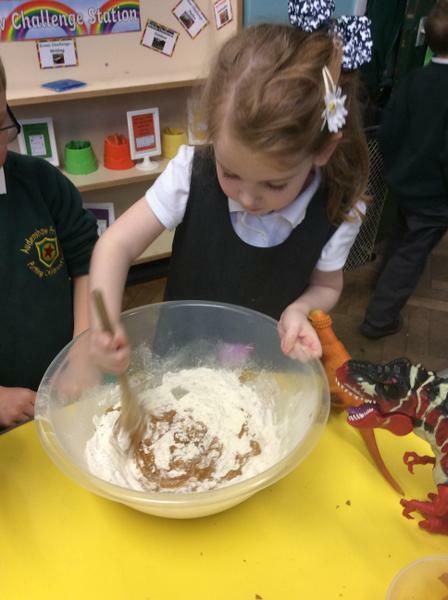 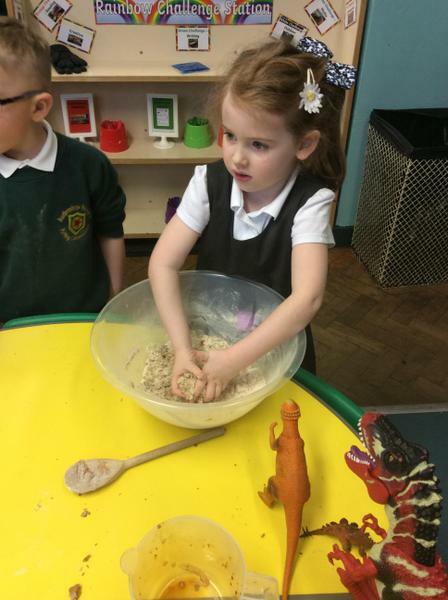 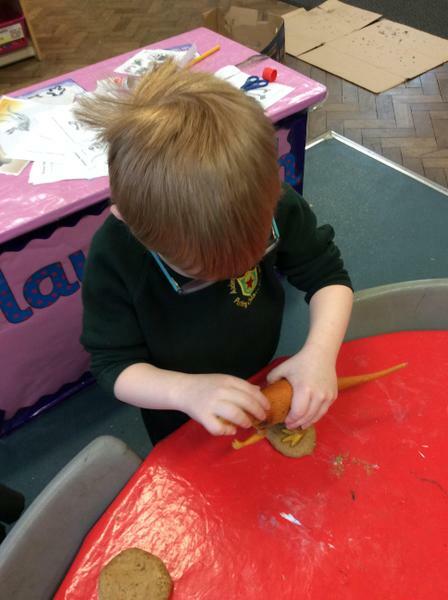 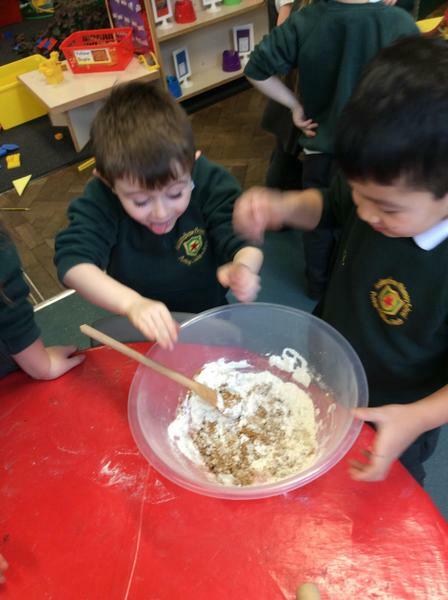 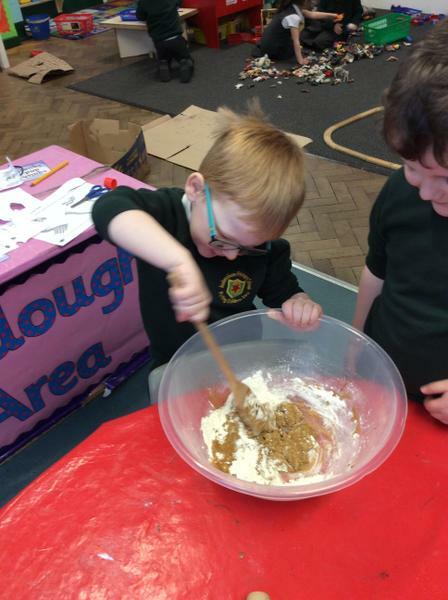 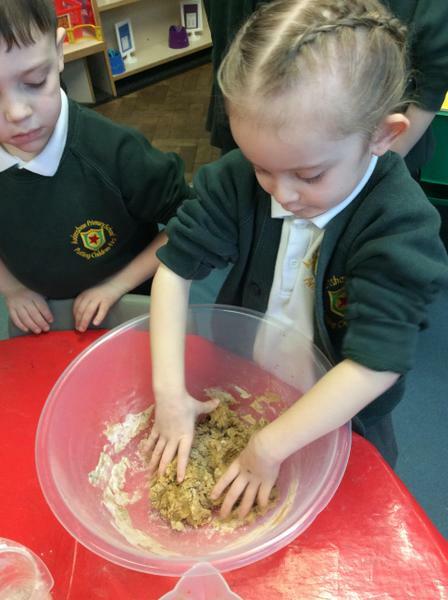 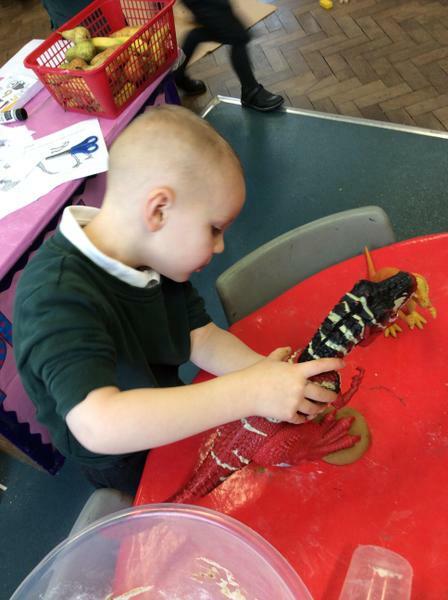 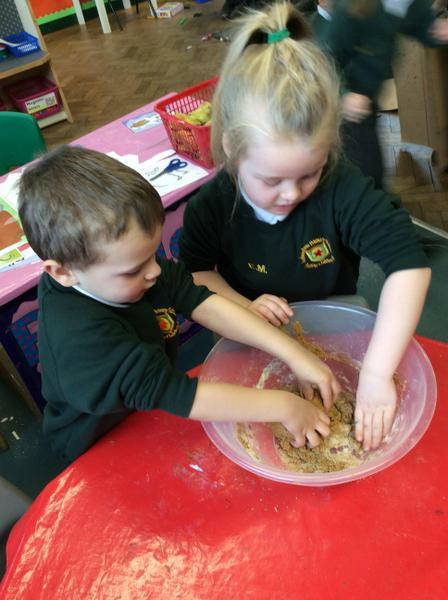 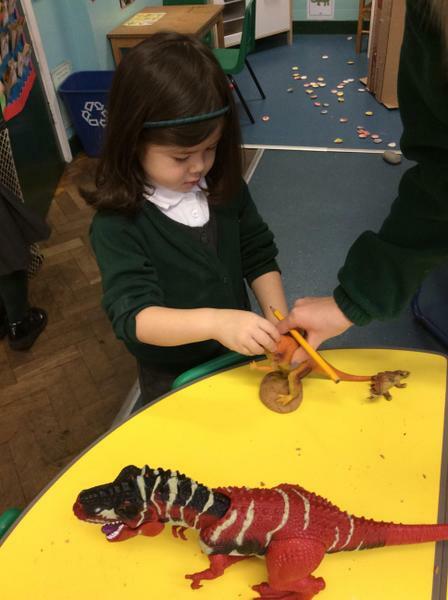 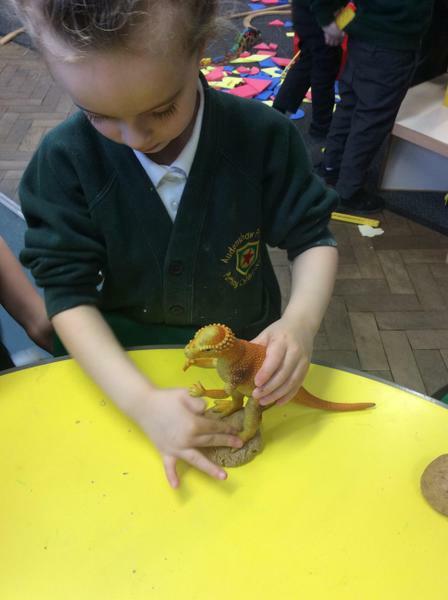 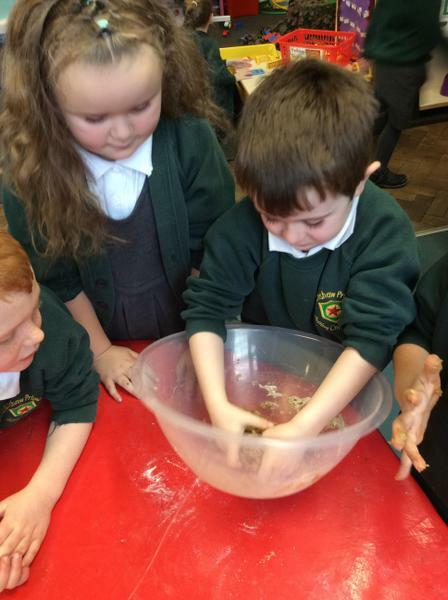 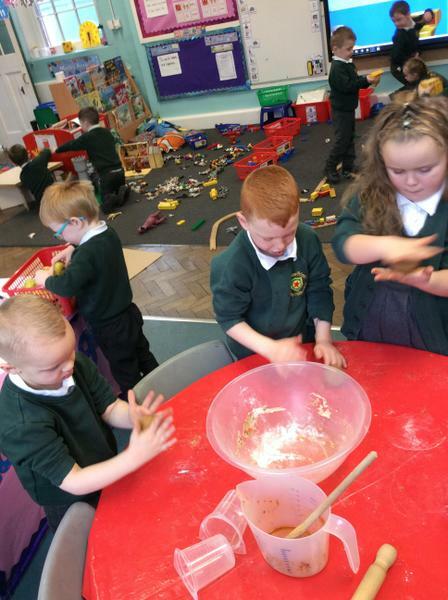 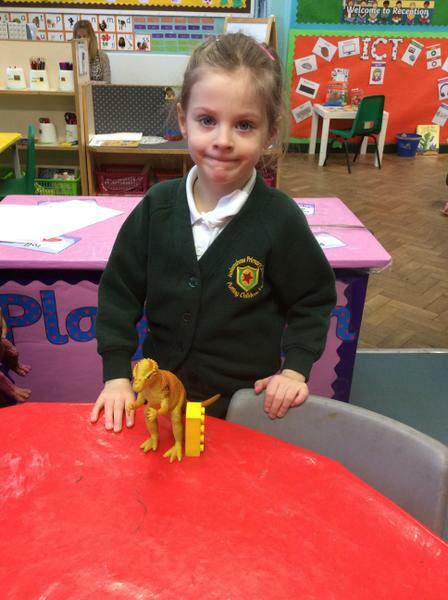 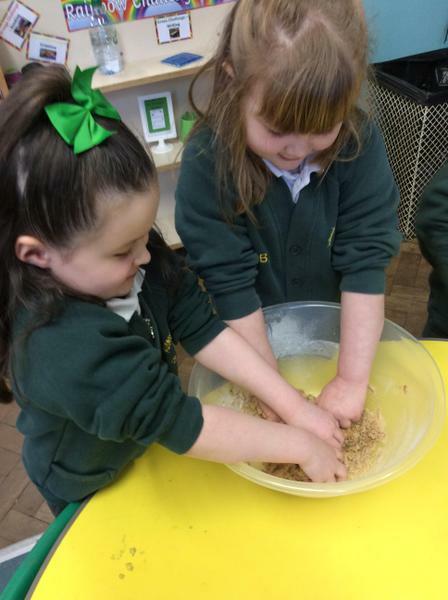 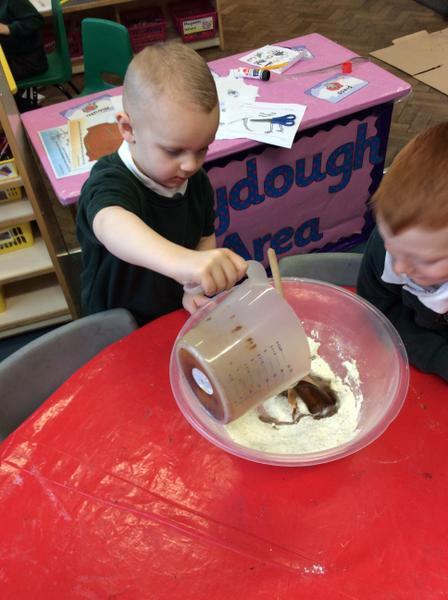 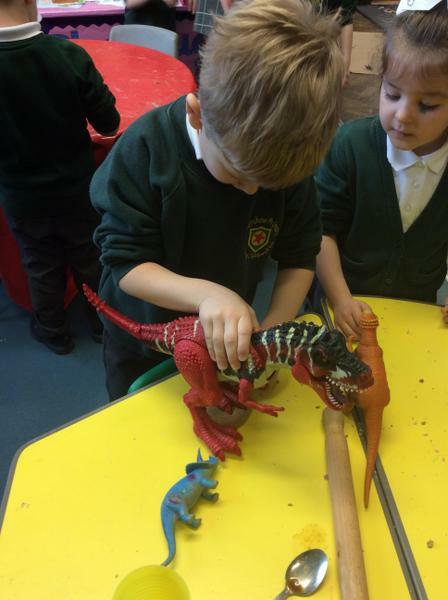 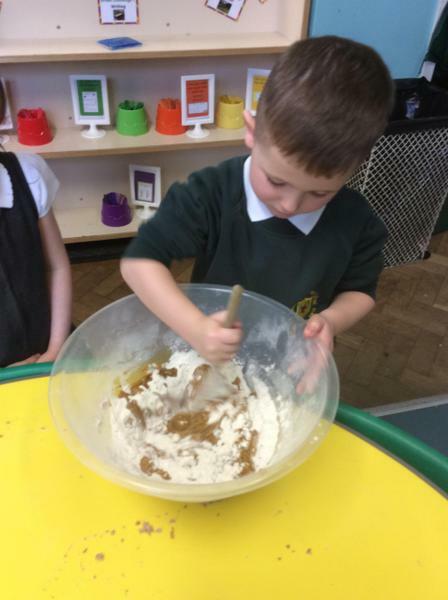 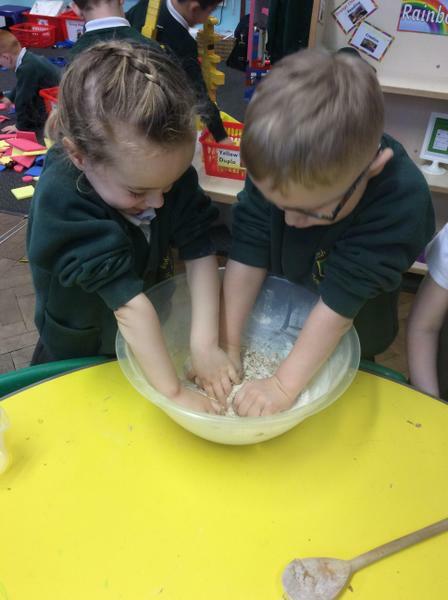 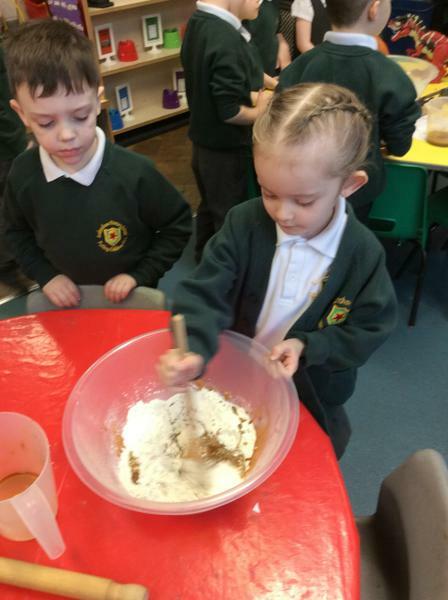 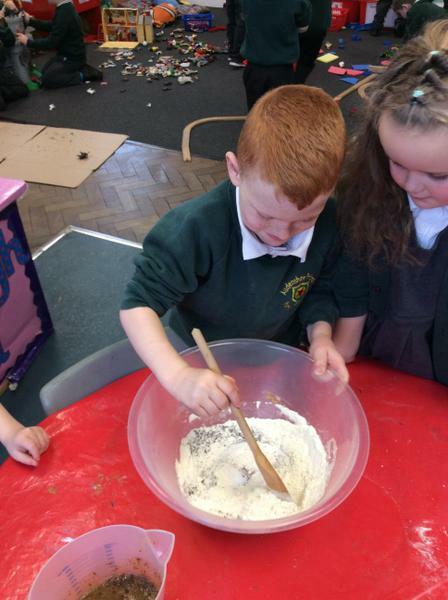 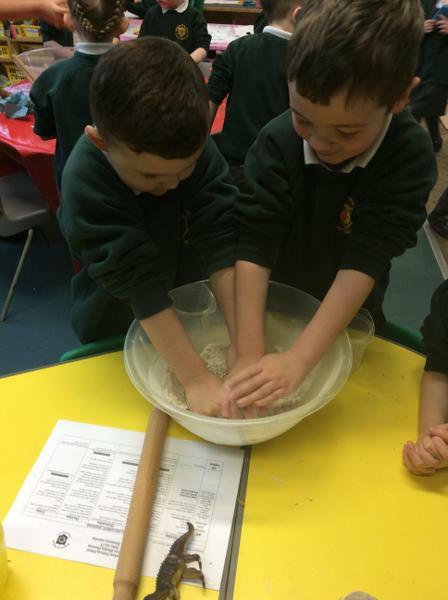 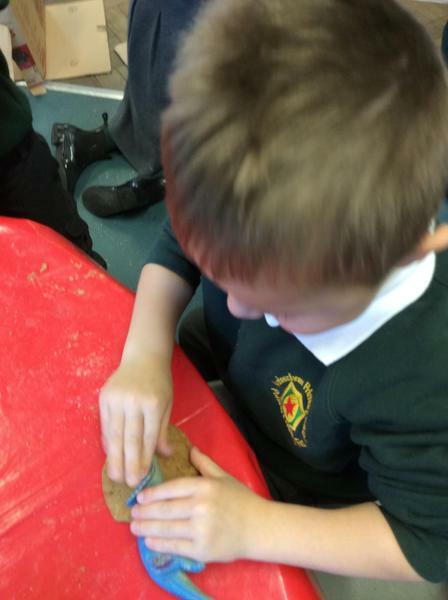 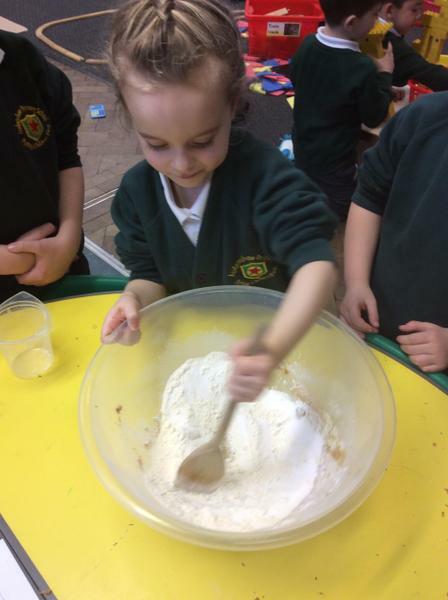 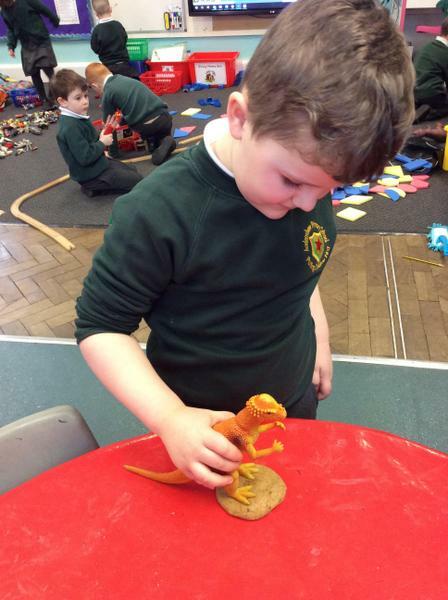 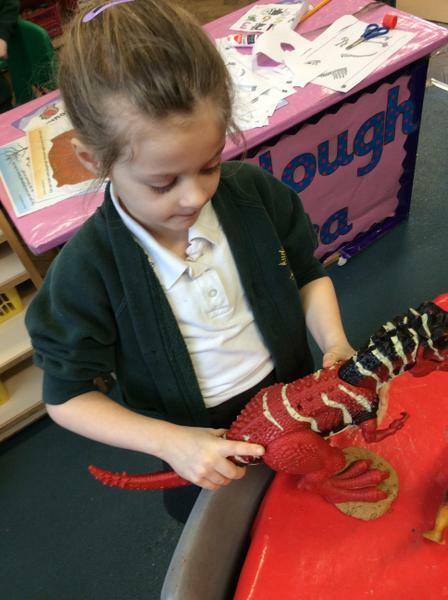 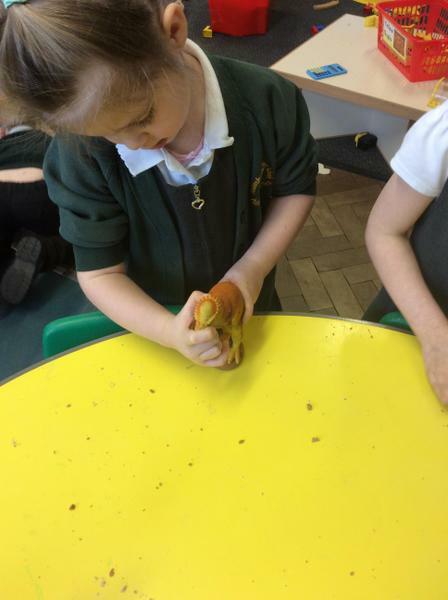 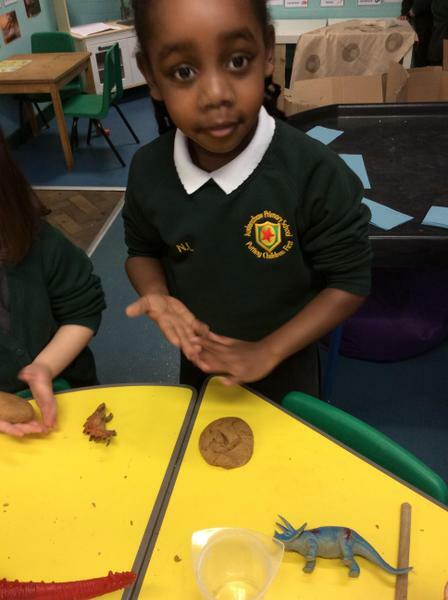 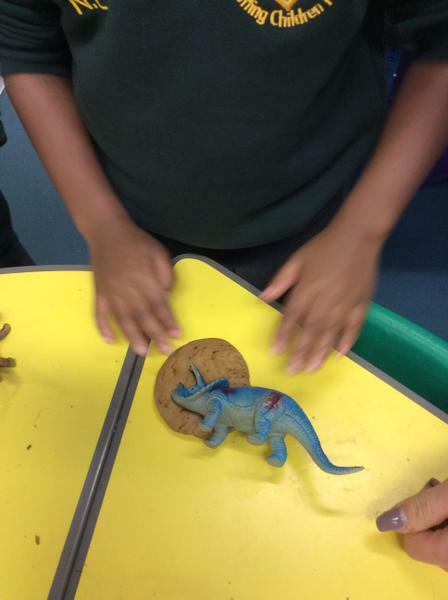 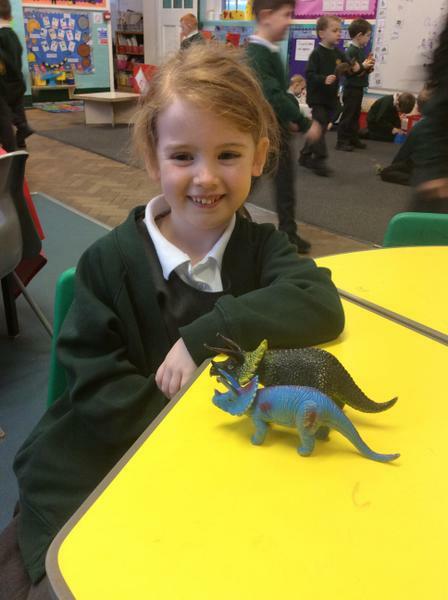 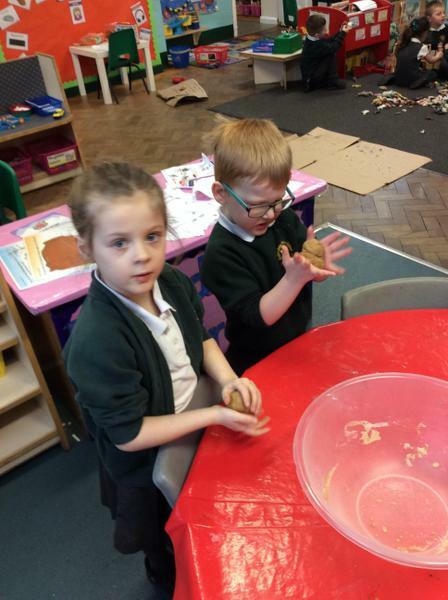 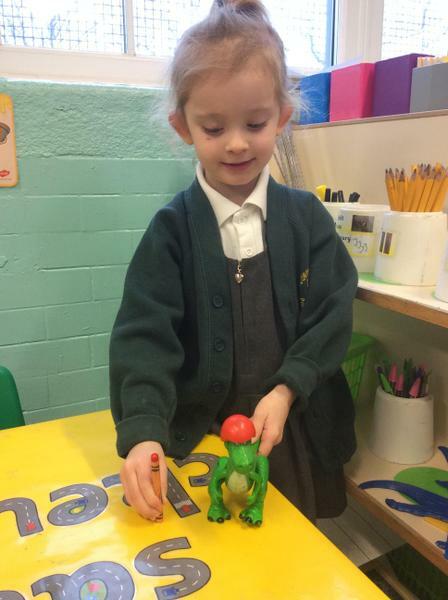 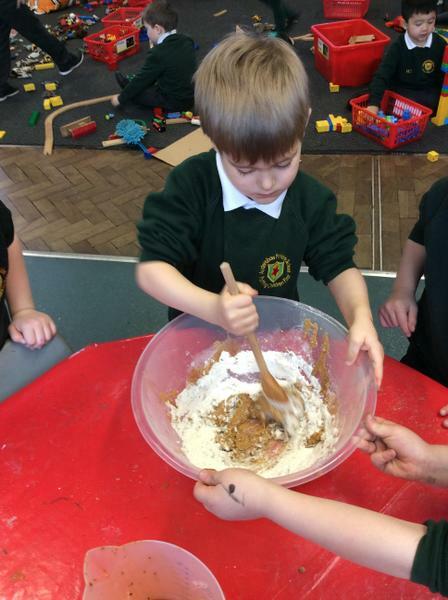 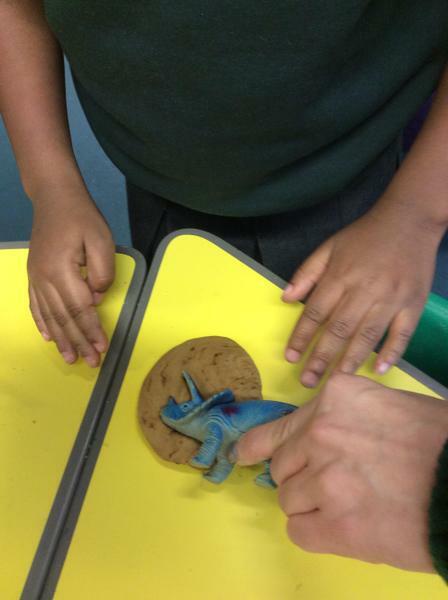 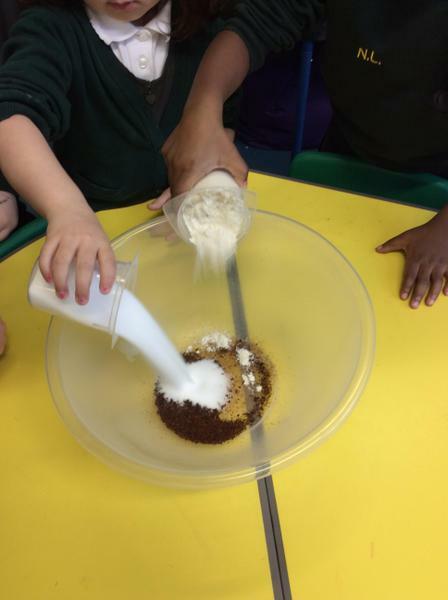 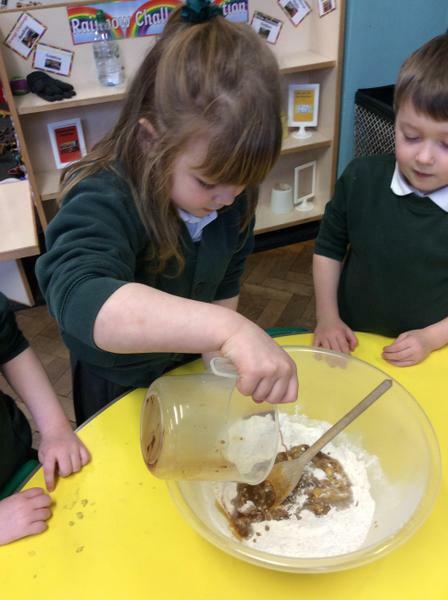 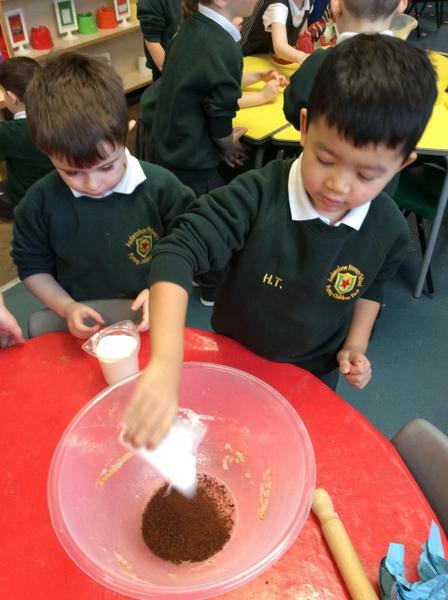 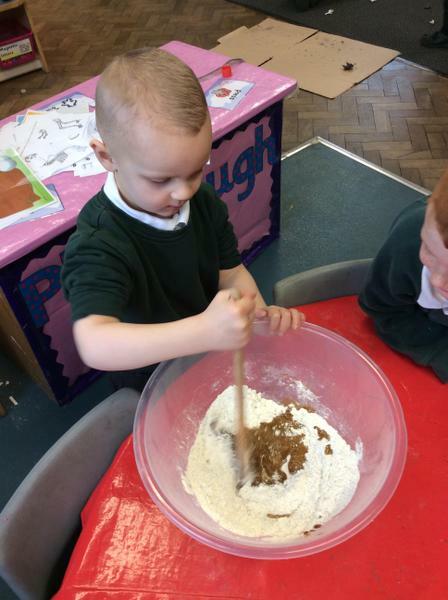 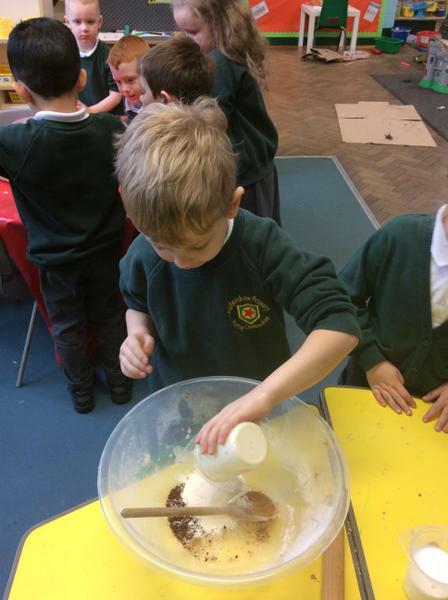 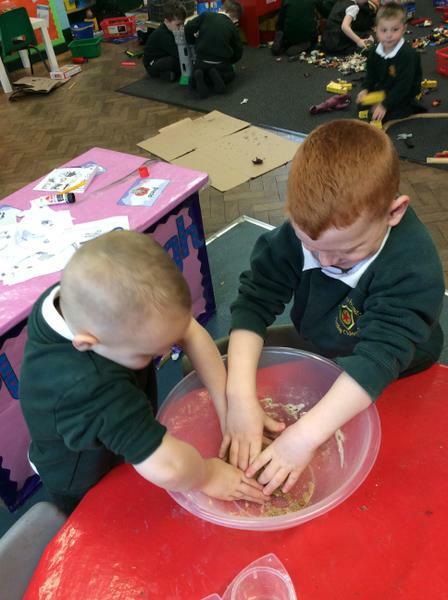 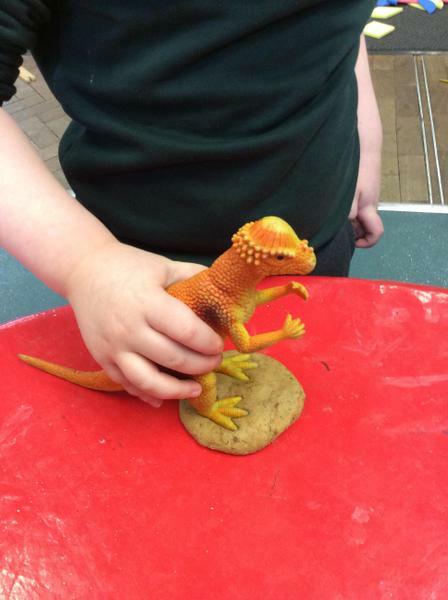 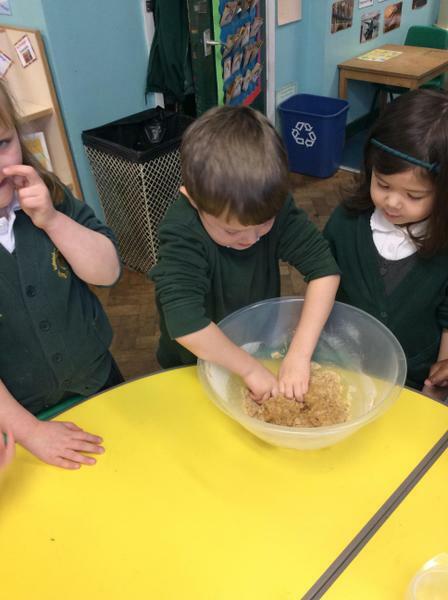 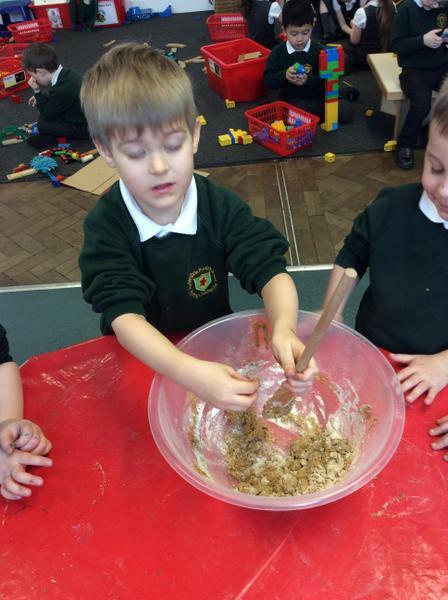 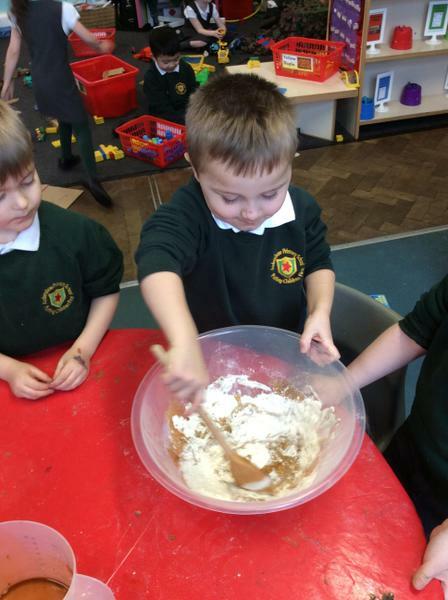 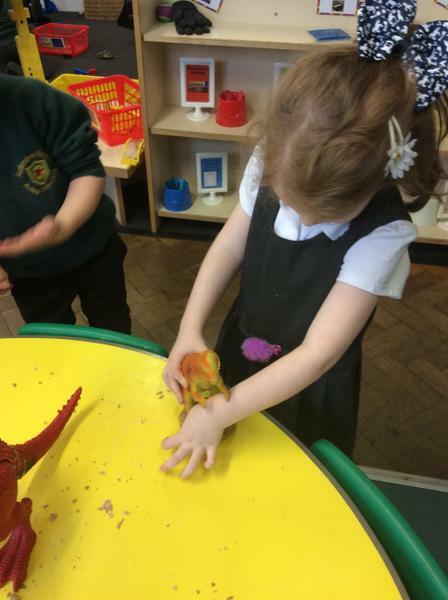 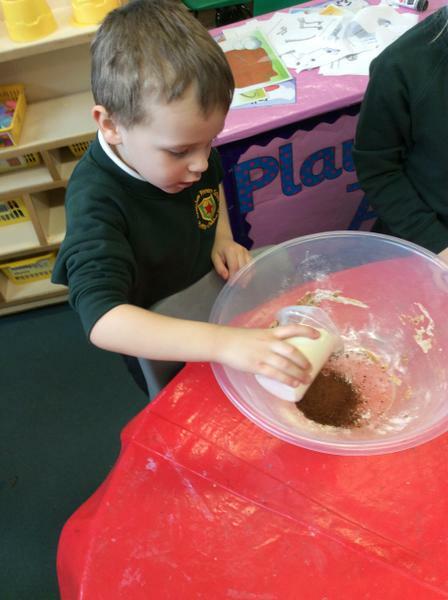 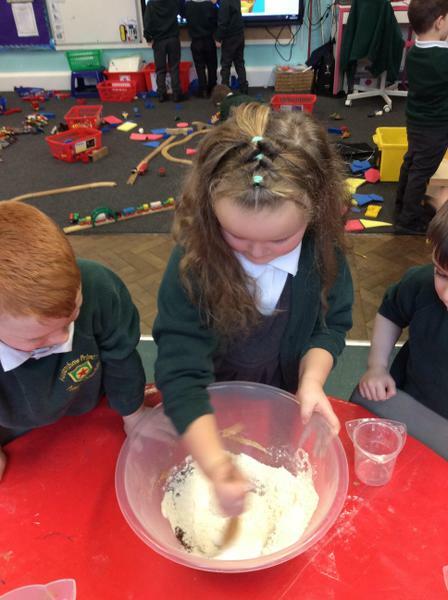 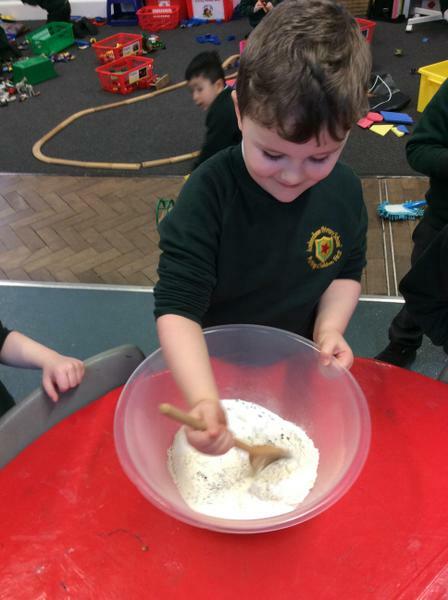 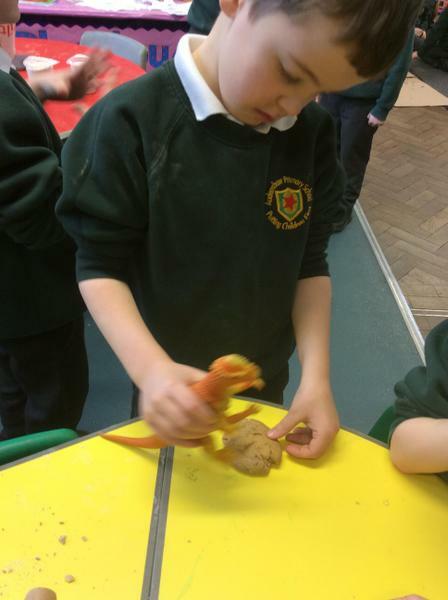 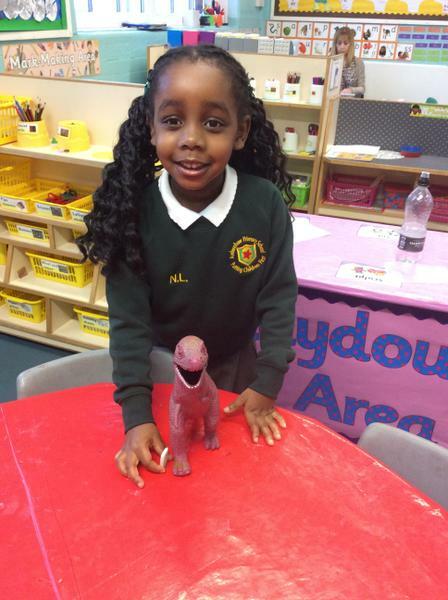 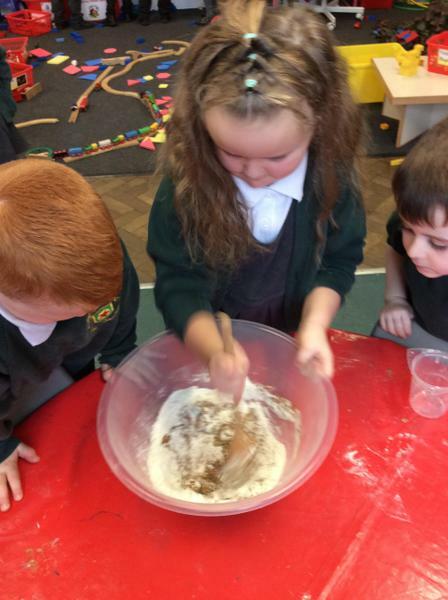 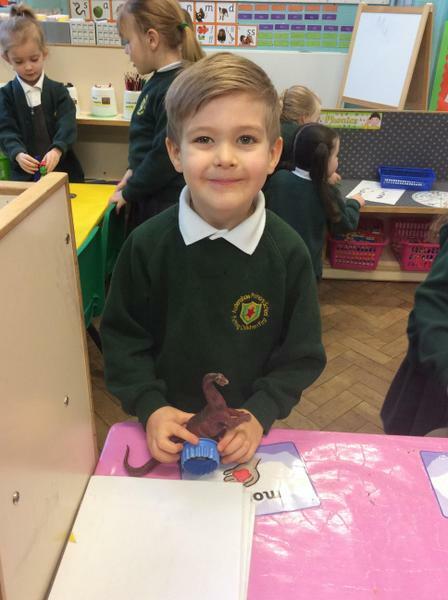 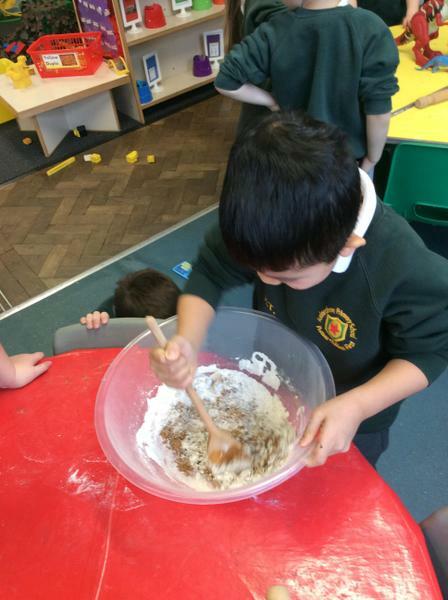 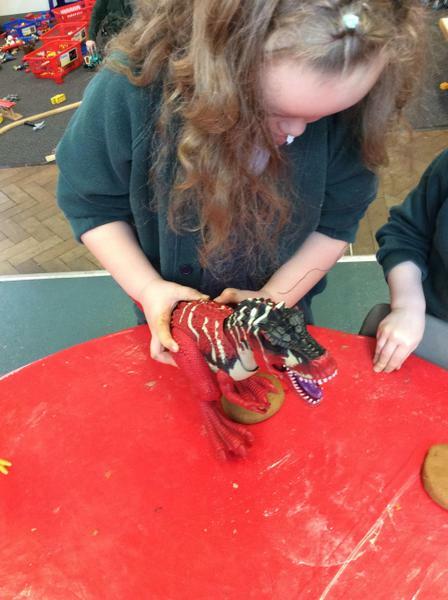 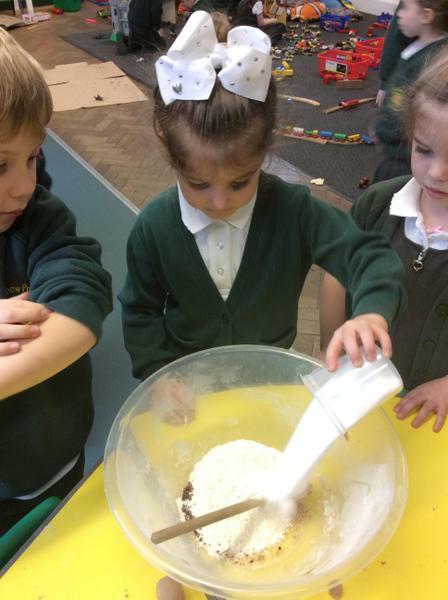 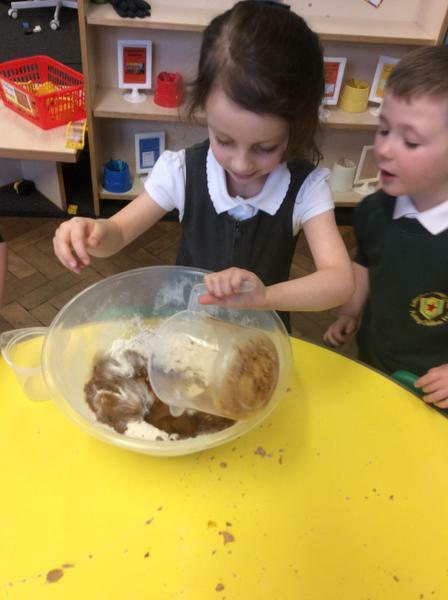 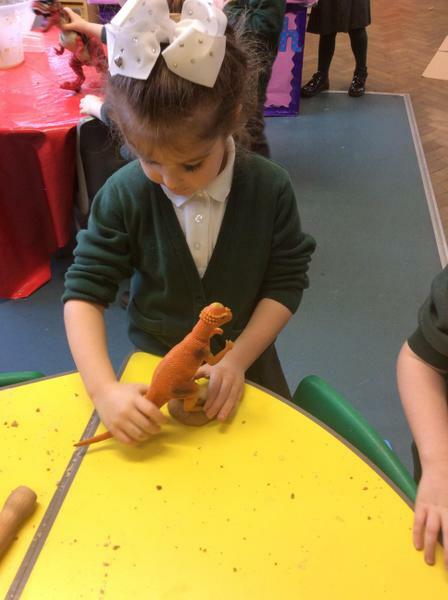 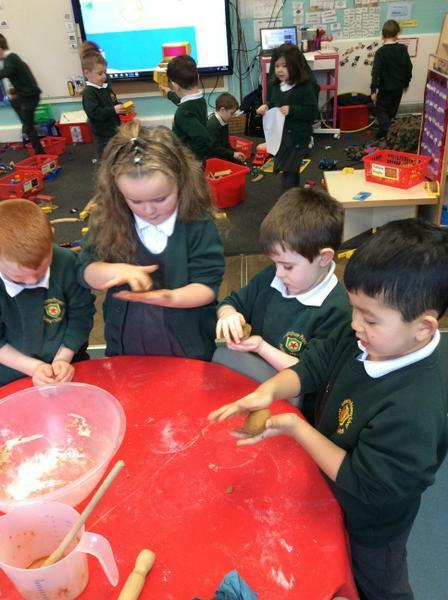 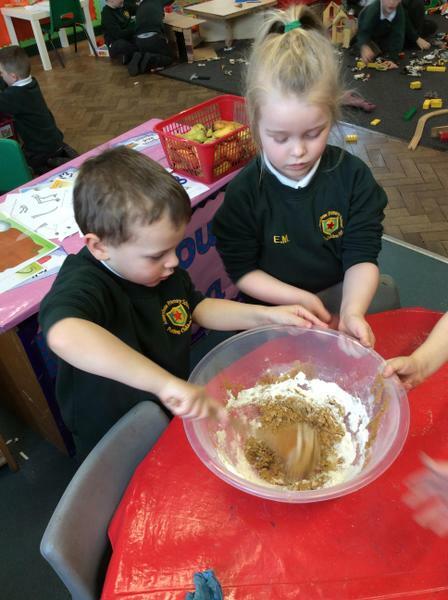 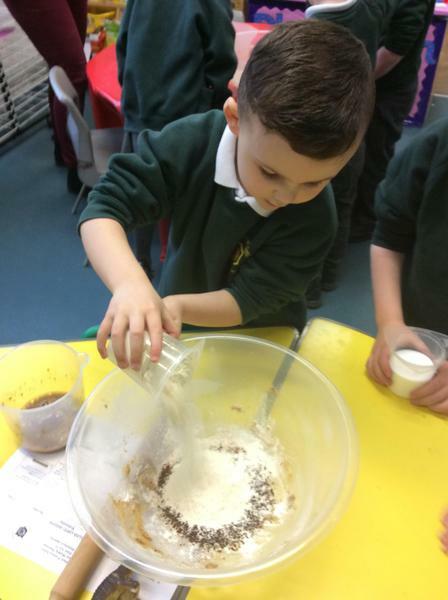 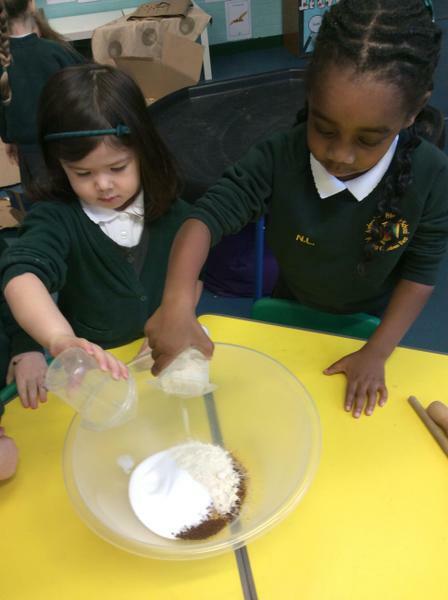 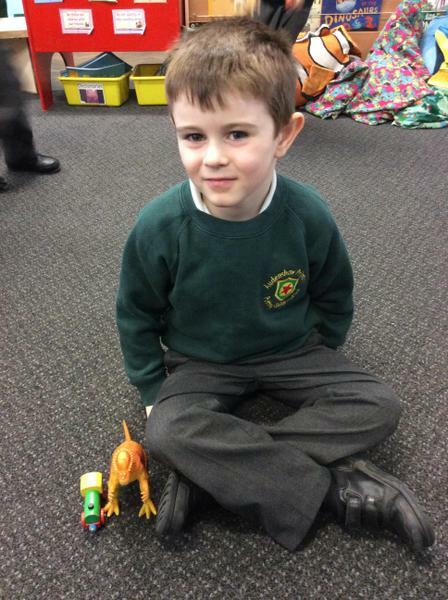 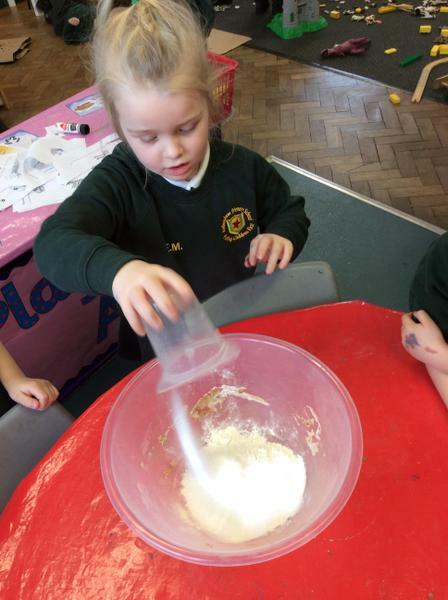 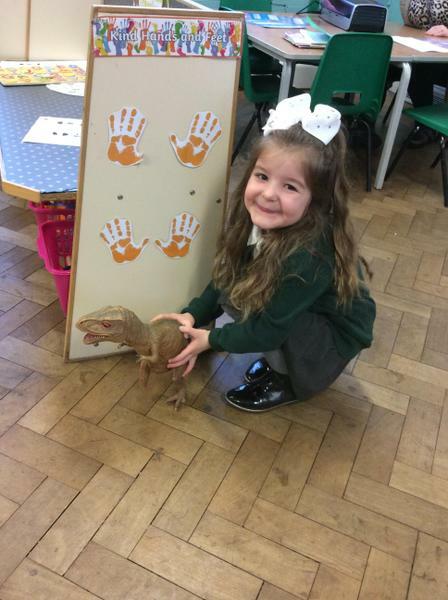 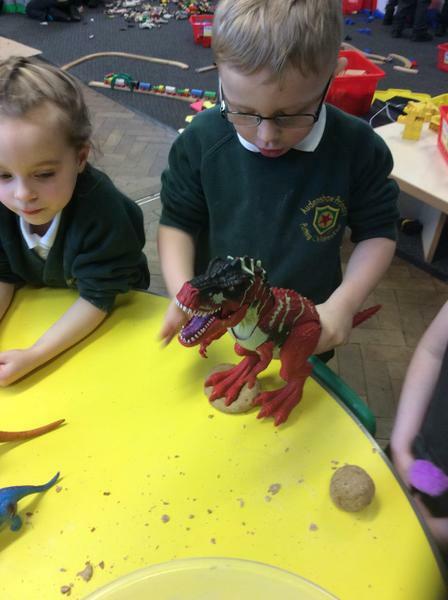 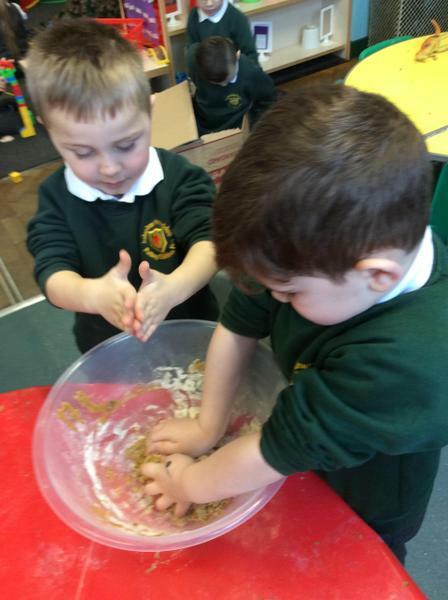 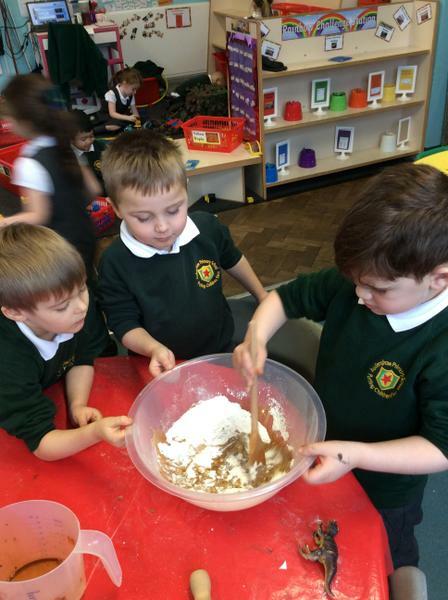 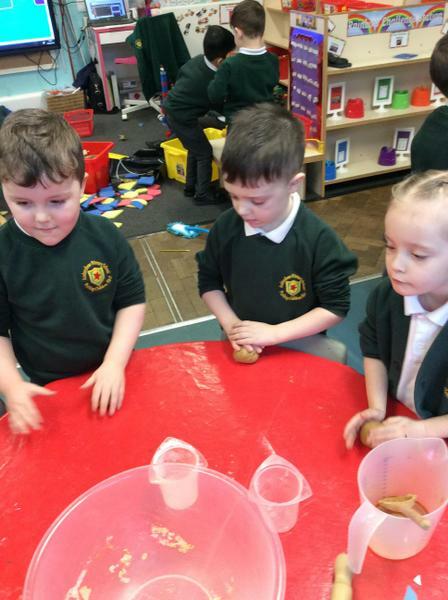 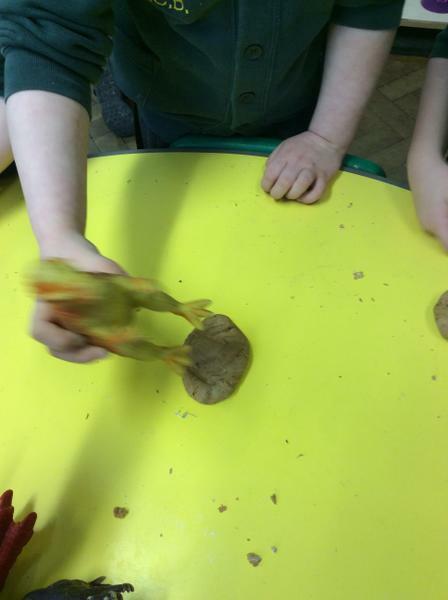 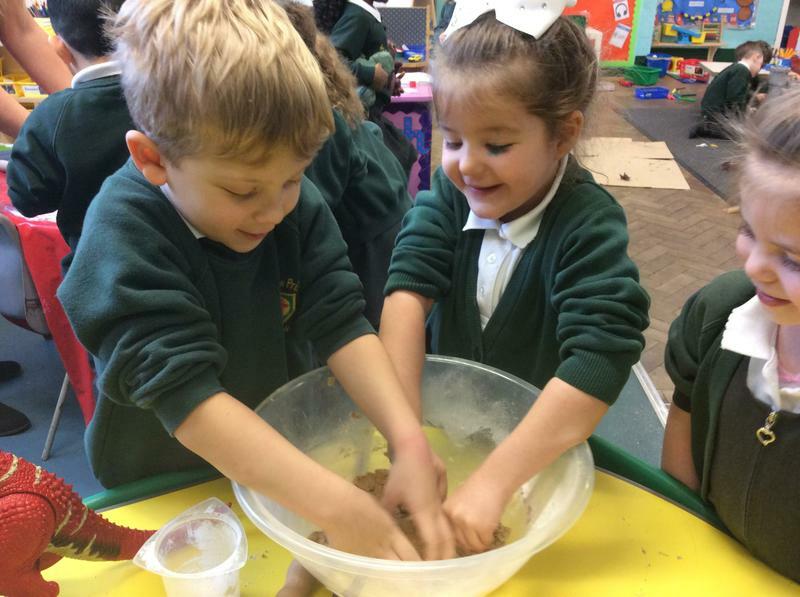 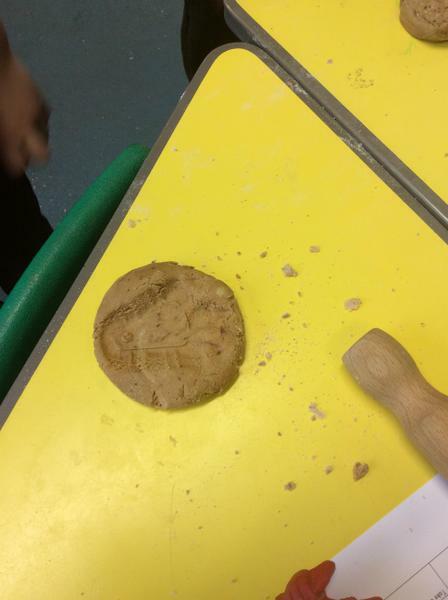 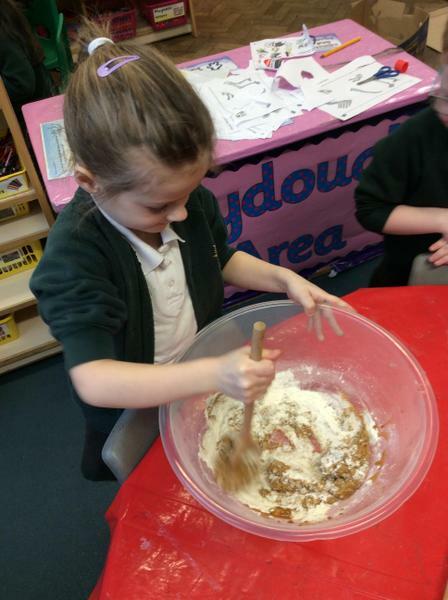 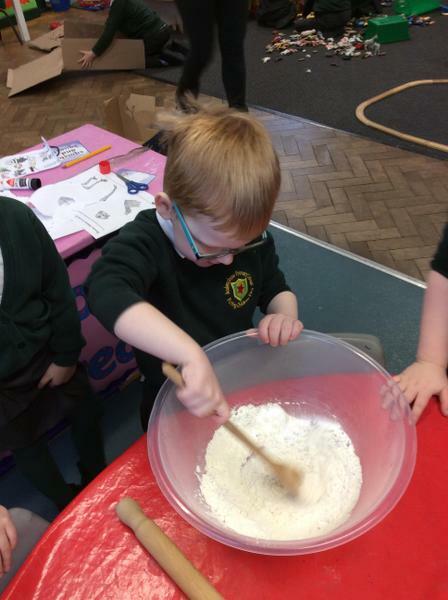 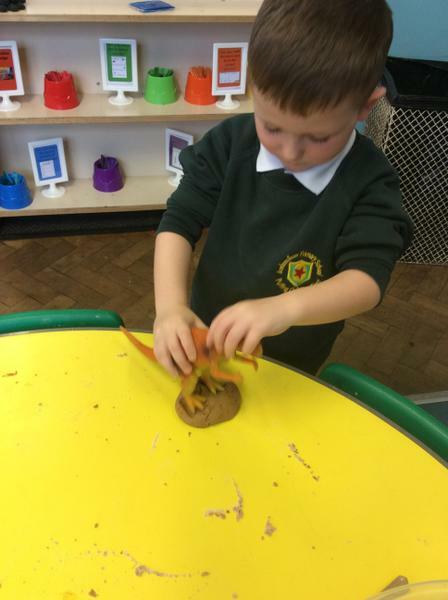 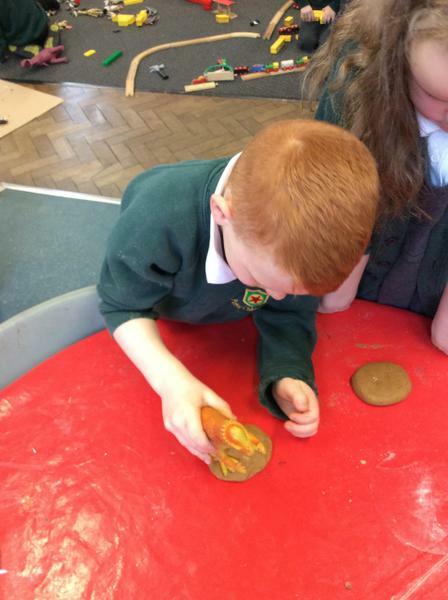 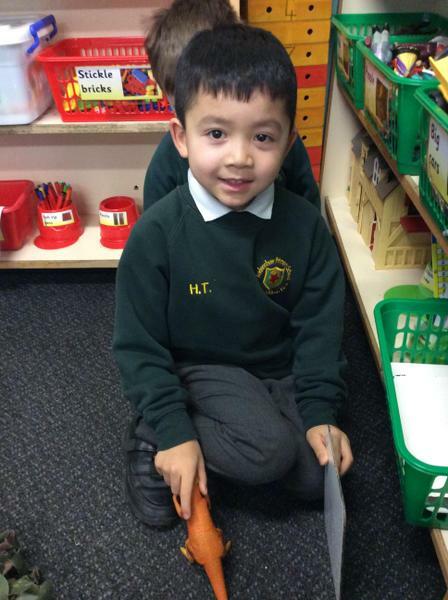 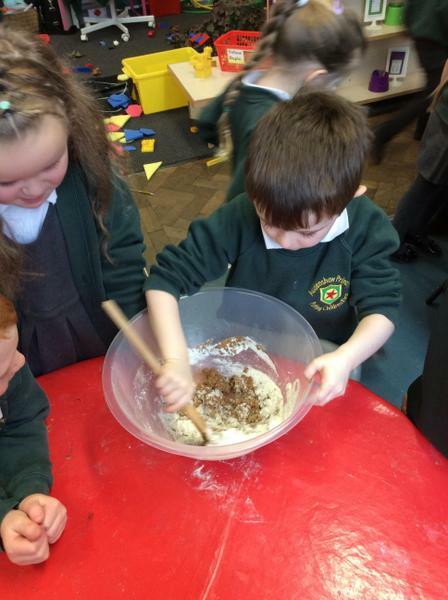 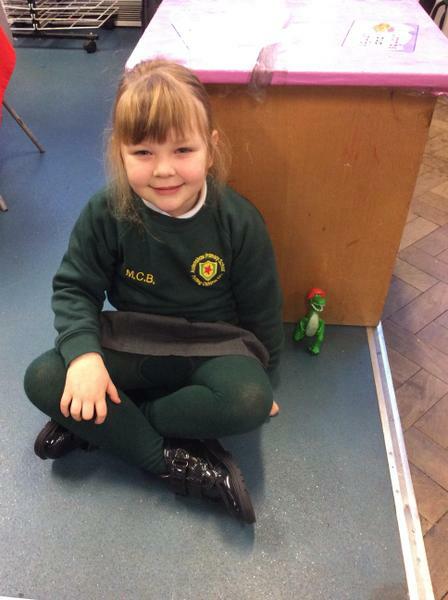 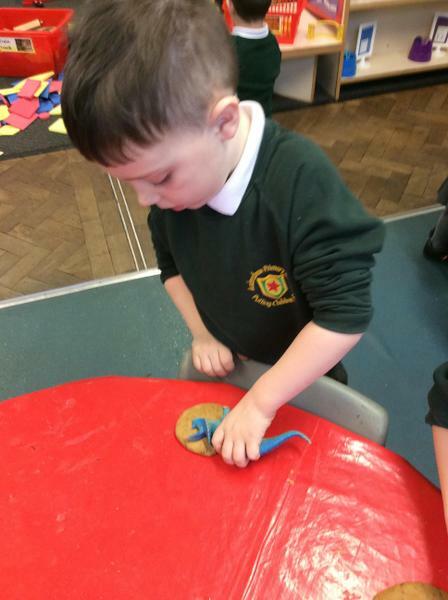 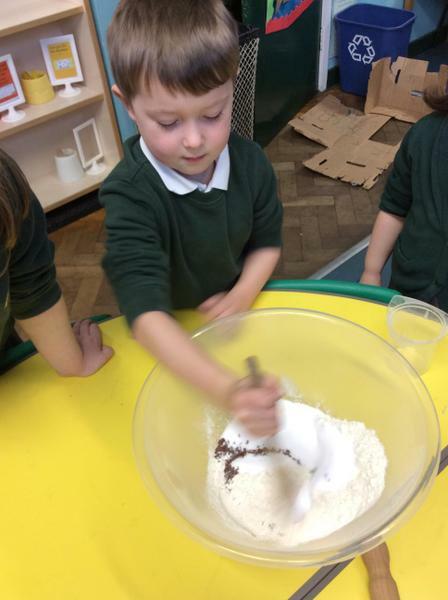 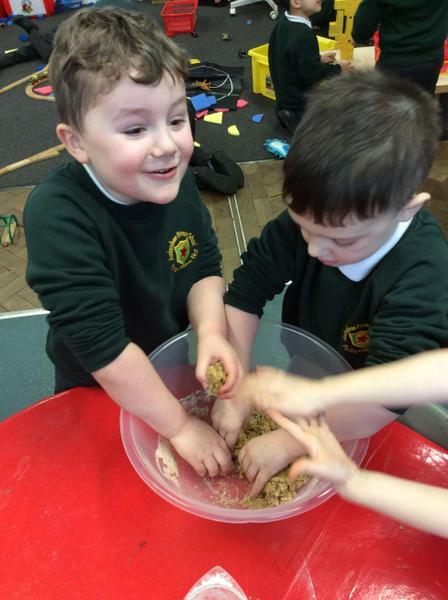 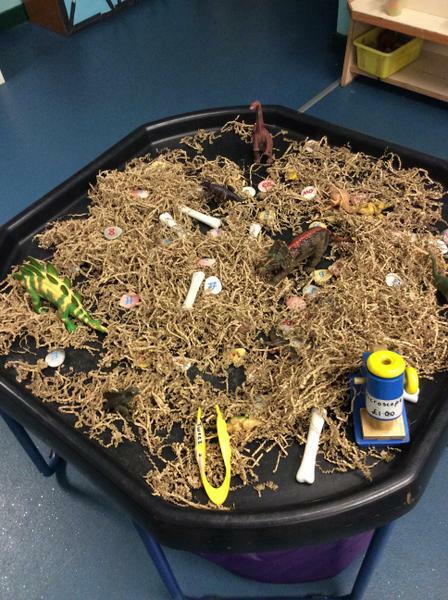 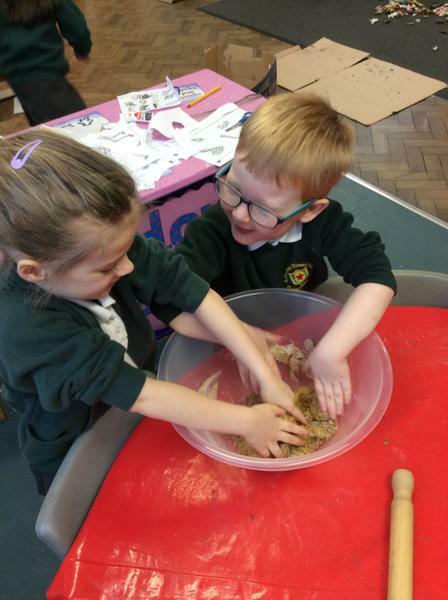 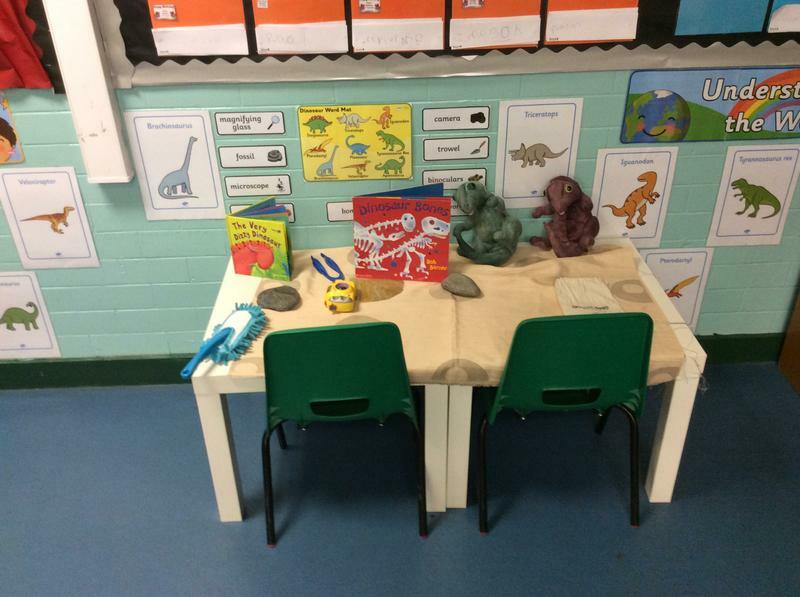 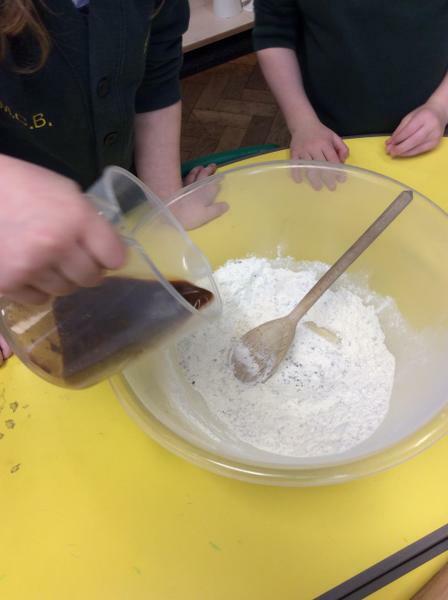 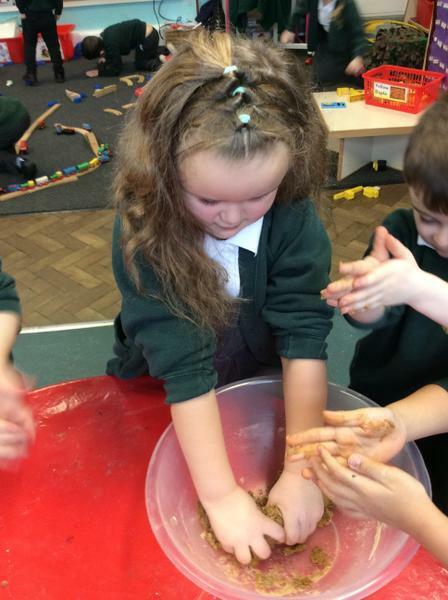 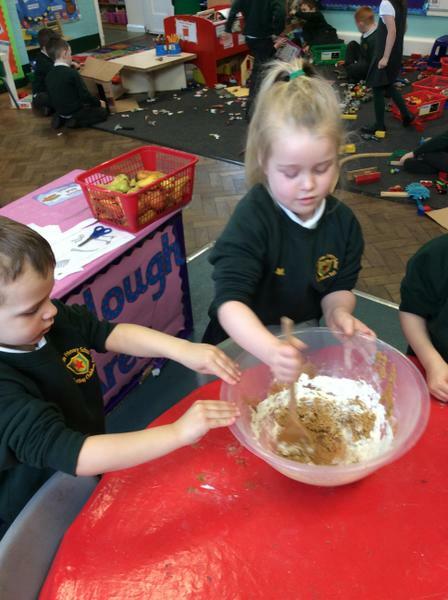 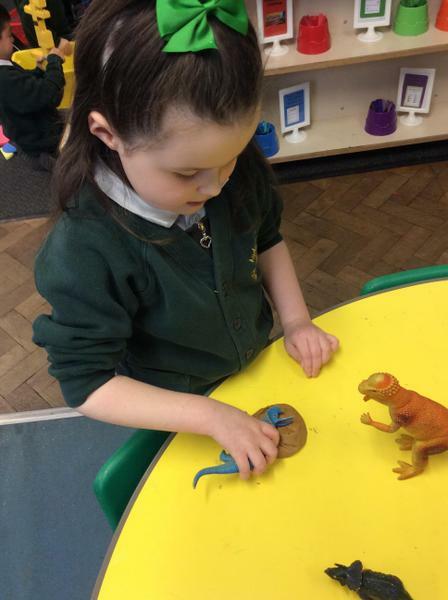 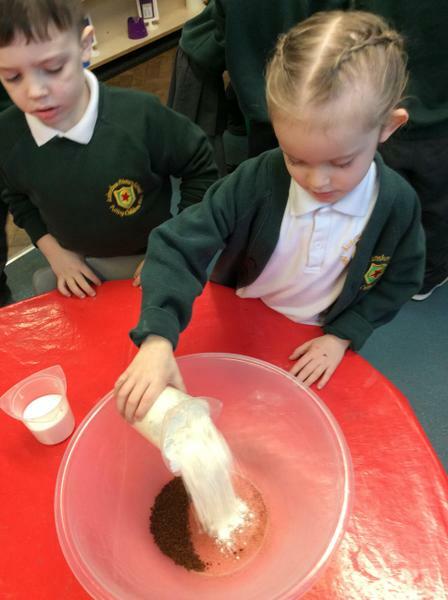 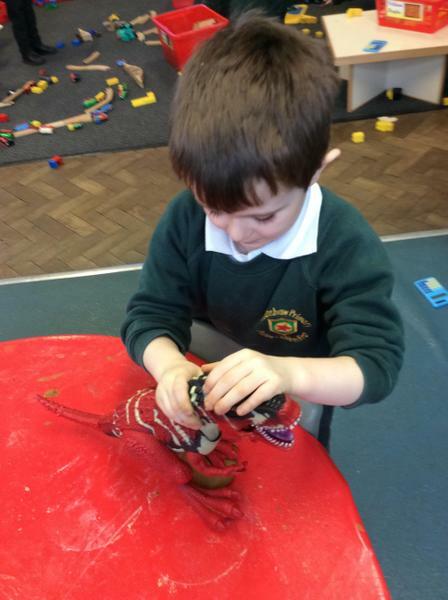 During the few weeks back, we have been completing lots of activities based around dinosaurs. 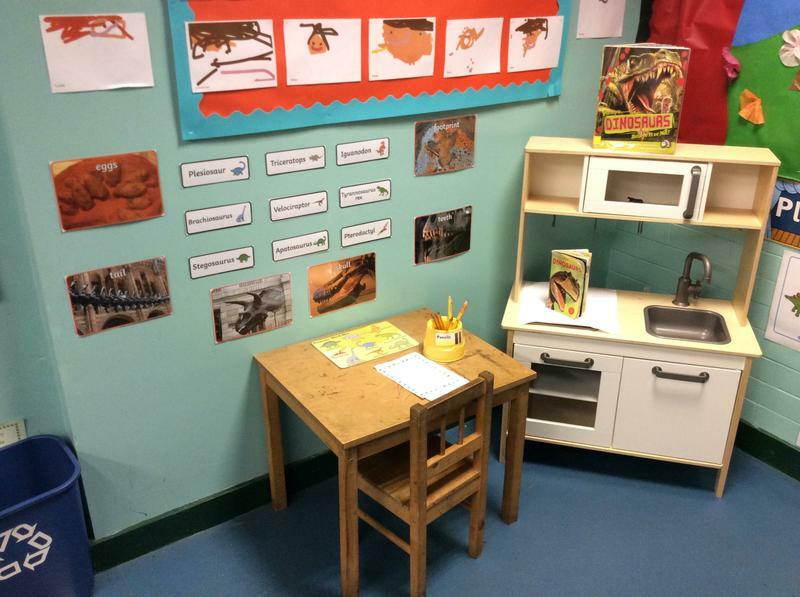 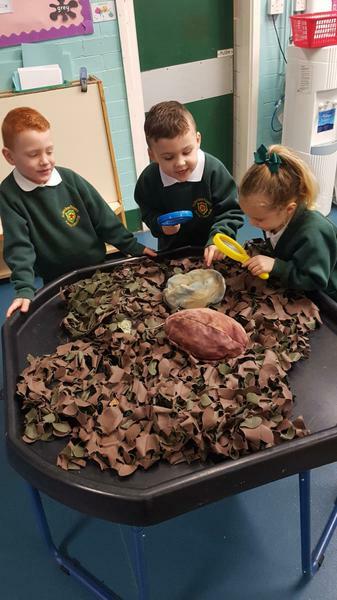 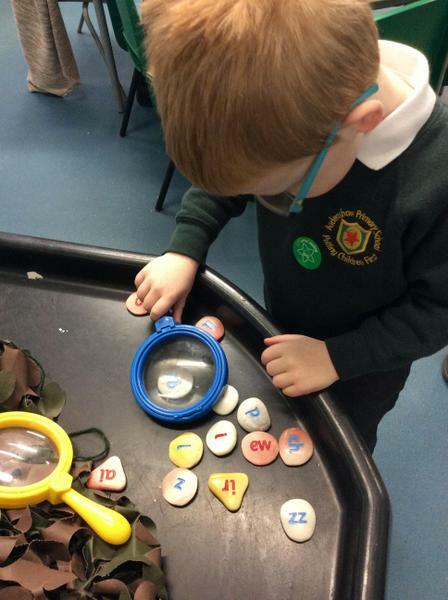 We even have a dinosaur museum where we can look closely at dinosaurs and fossils using magnifying glasses and tweezers. 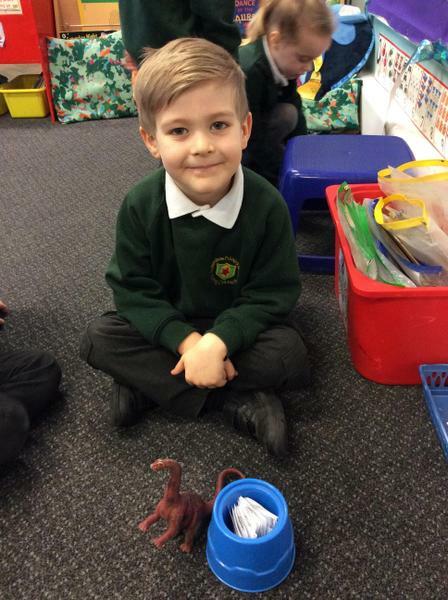 In Maths, we have been counting out dinosaur food in two groups and adding the total amount. 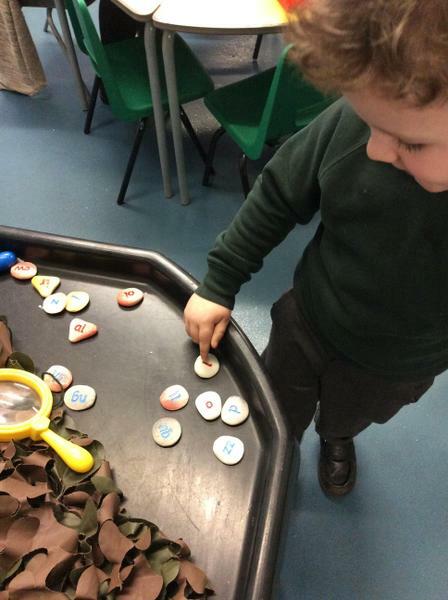 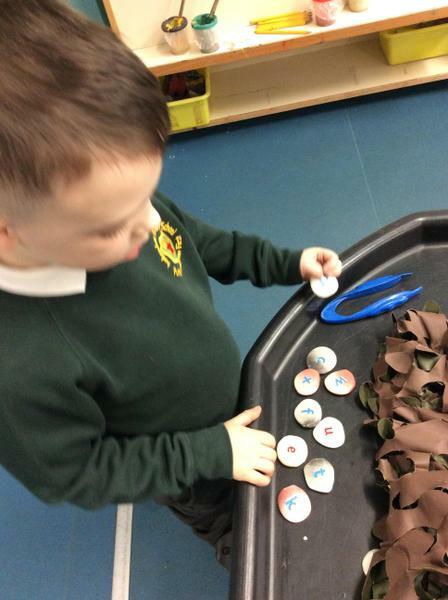 Dinosaurs have also eaten some numbers on our number track and we had to find the missing numbers! 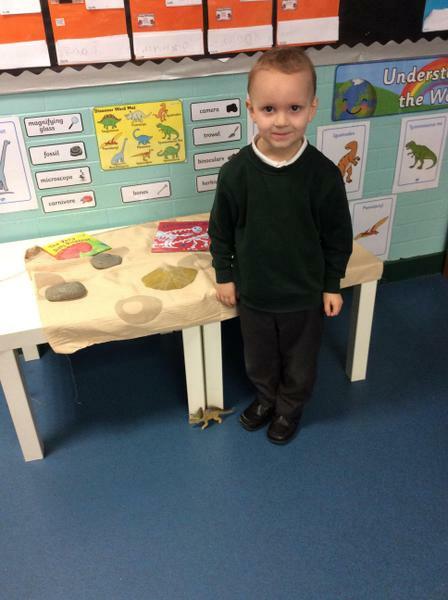 In Literacy, we have been reading Dinosaurs Love Underpants and designing our own pants. 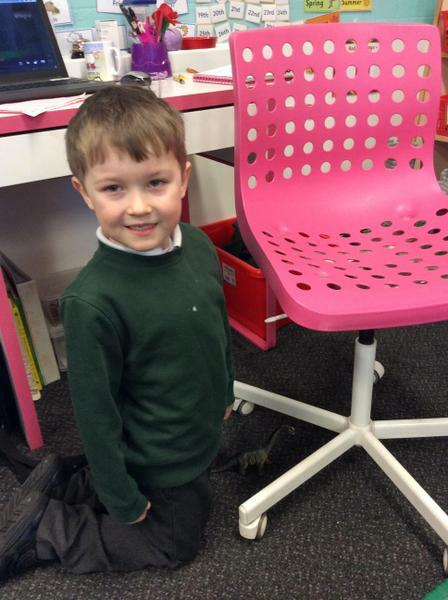 Take a look at our beautiful designs and see how hard we are trying with our writing to describe the pants.